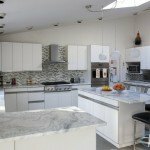 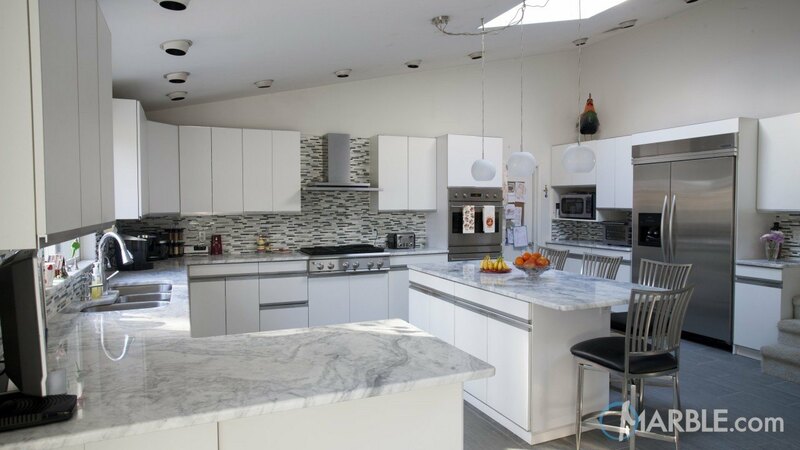 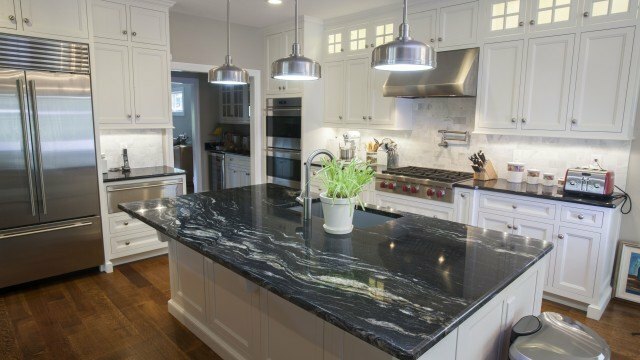 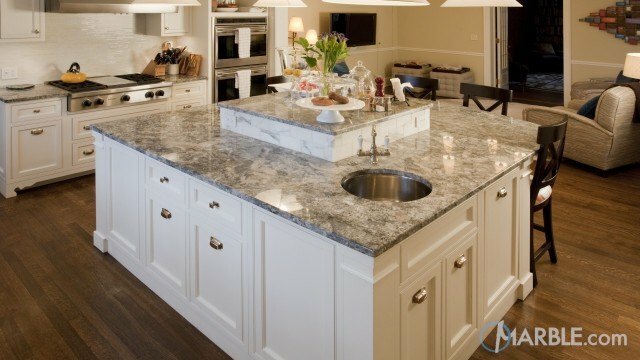 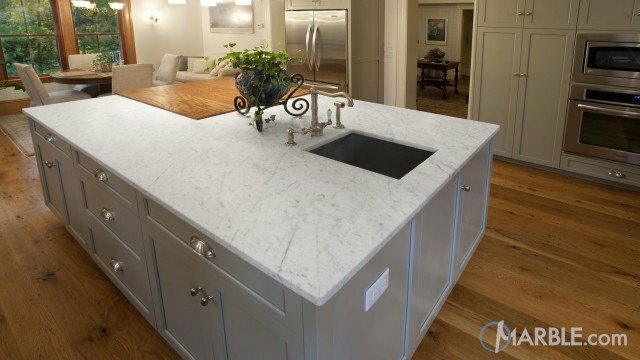 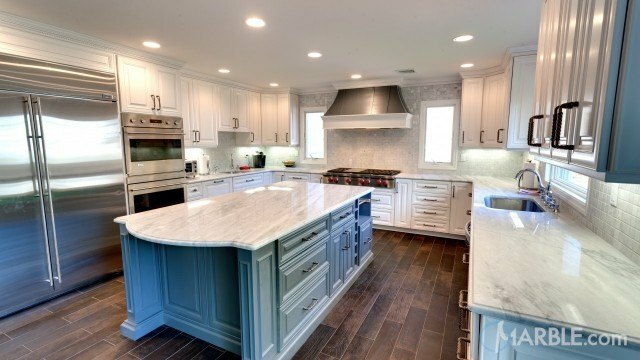 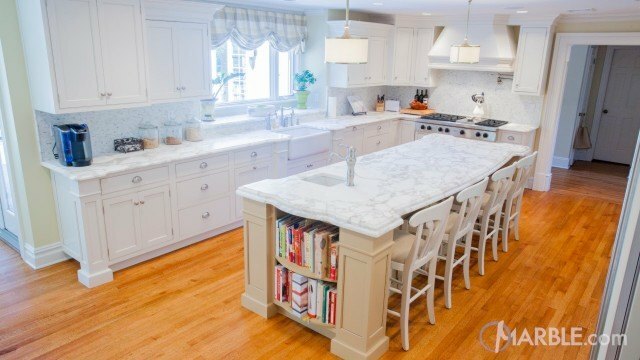 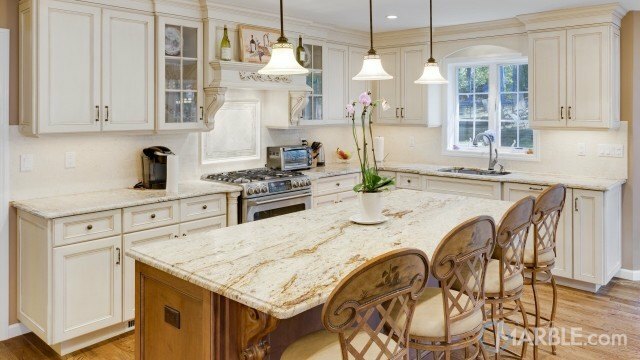 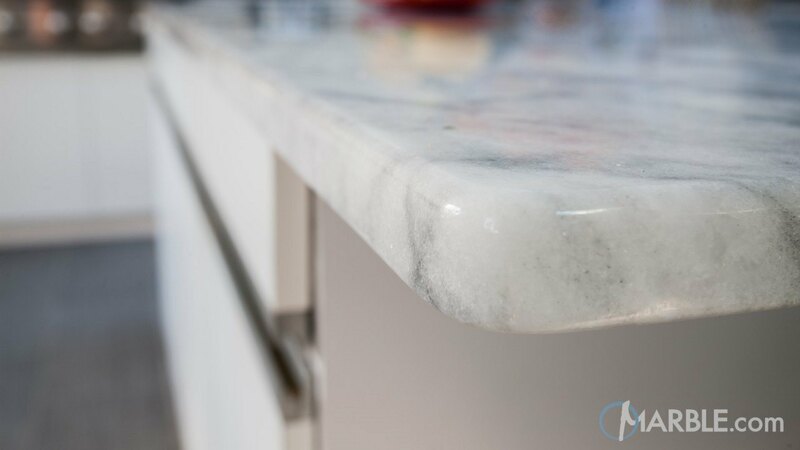 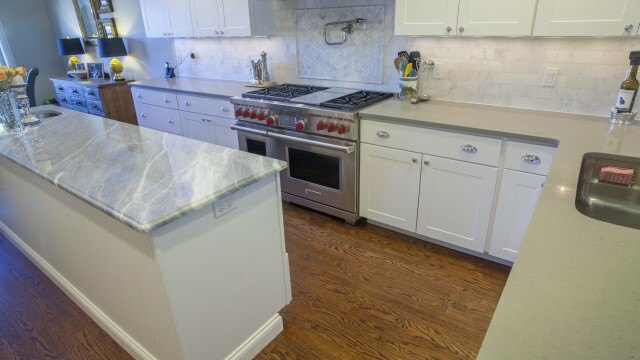 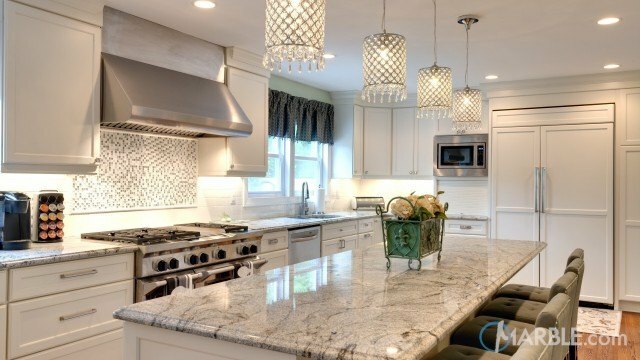 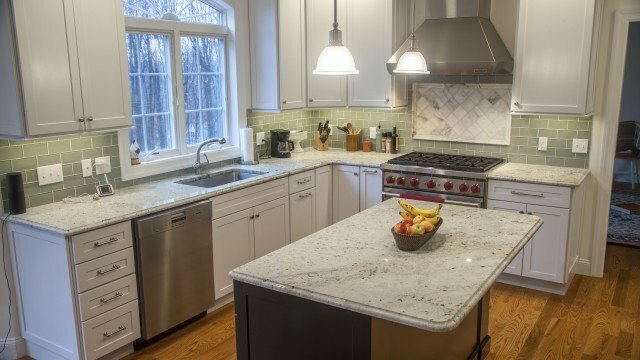 The smooth greys and whites of Classic White Quartzite add a touch of elegance to this large kitchen. 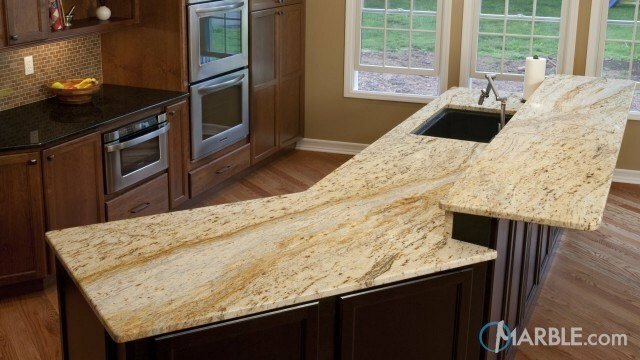 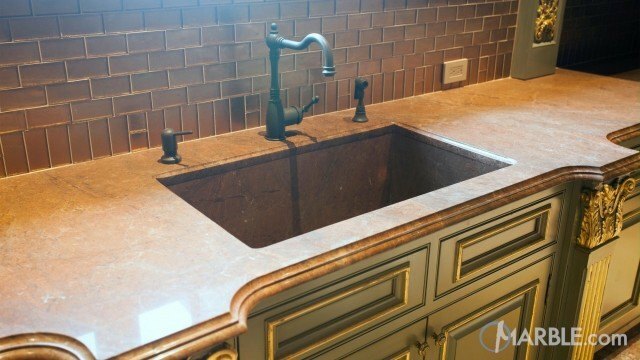 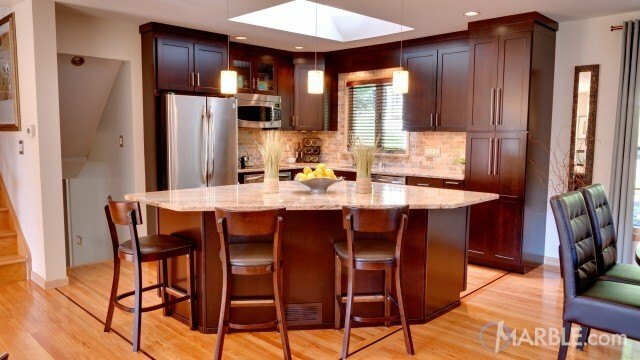 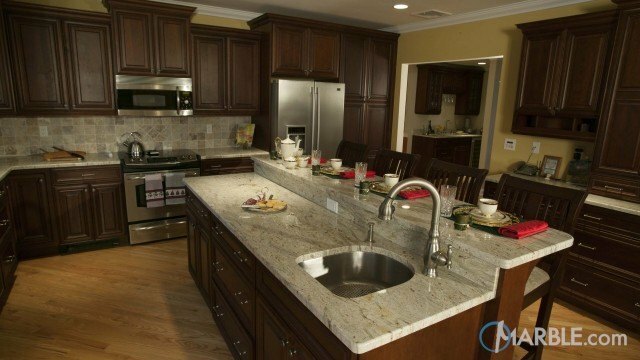 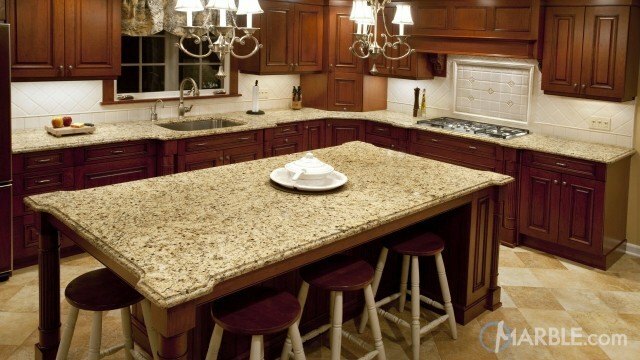 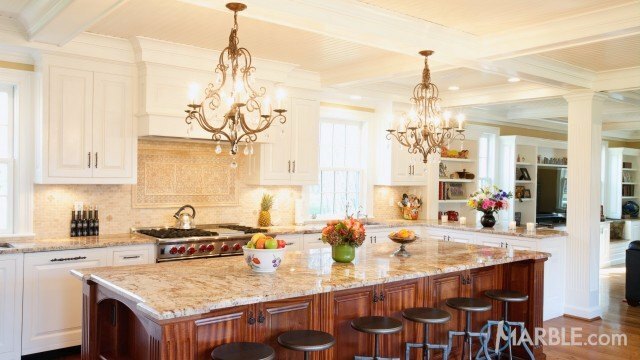 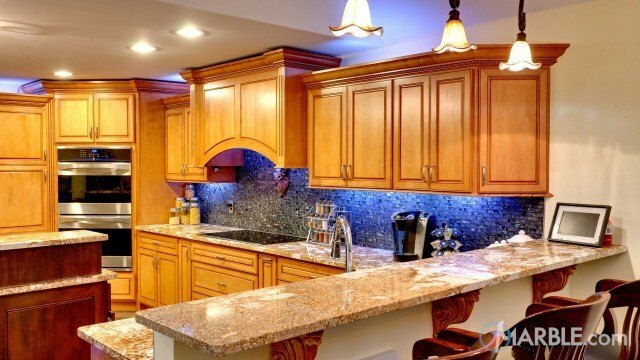 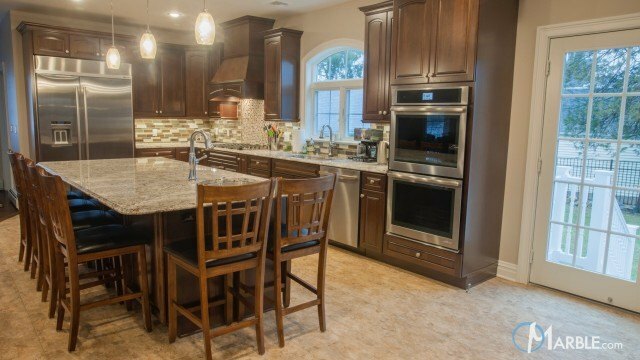 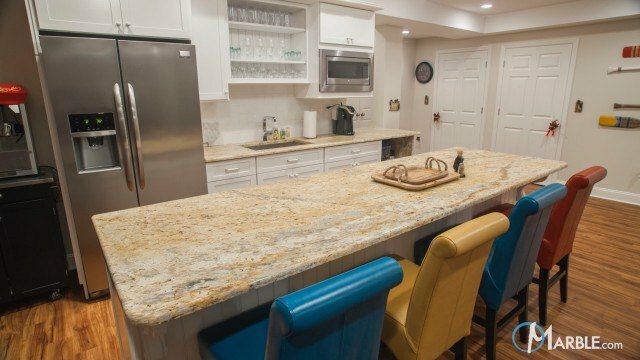 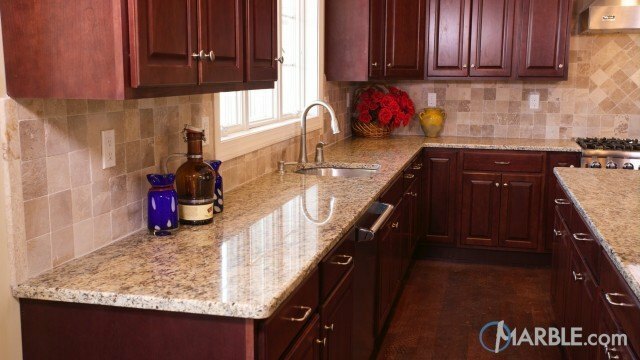 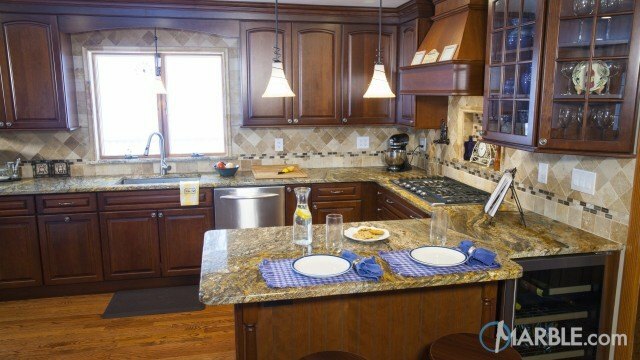 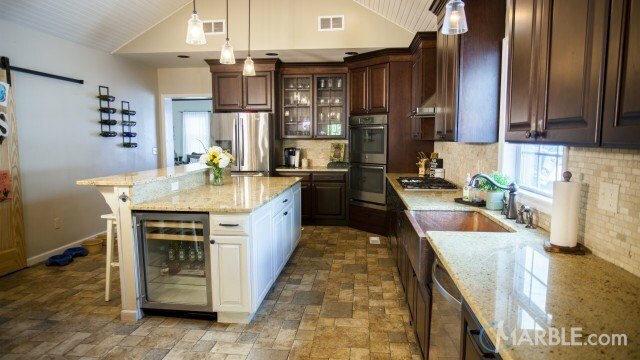 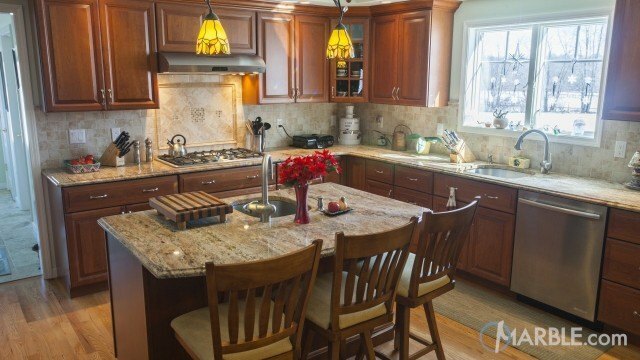 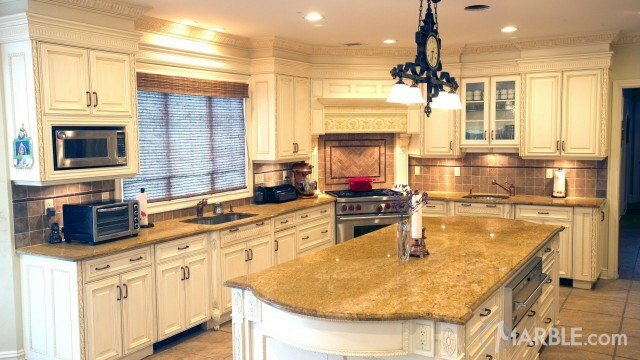 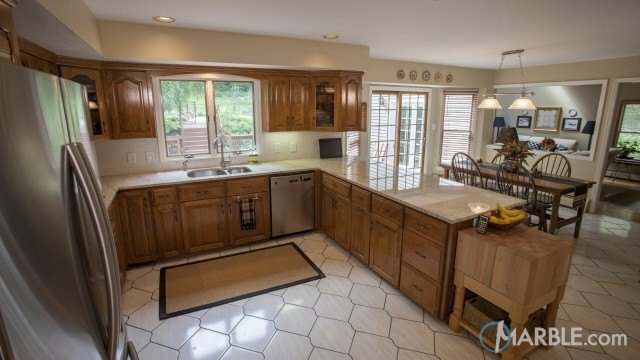 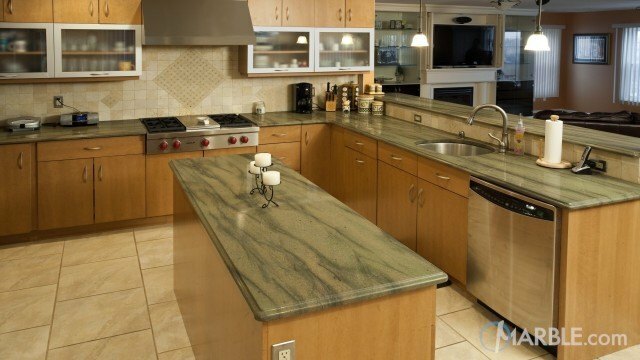 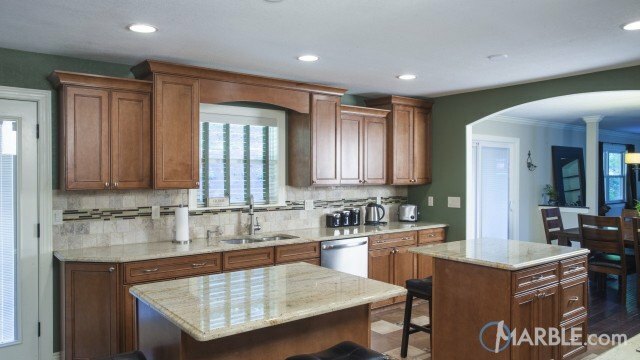 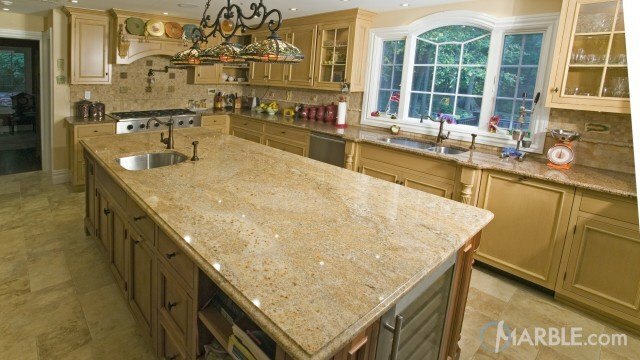 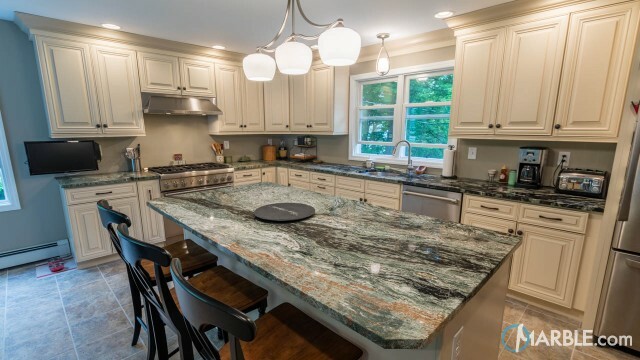 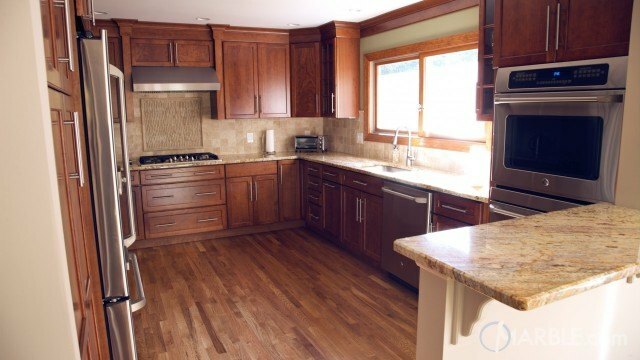 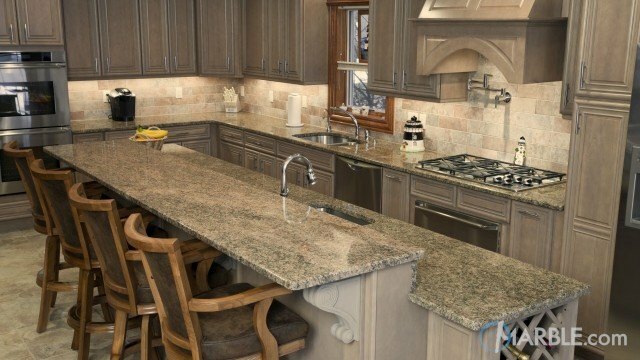 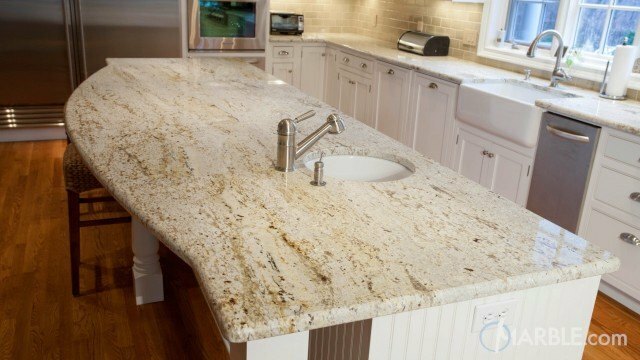 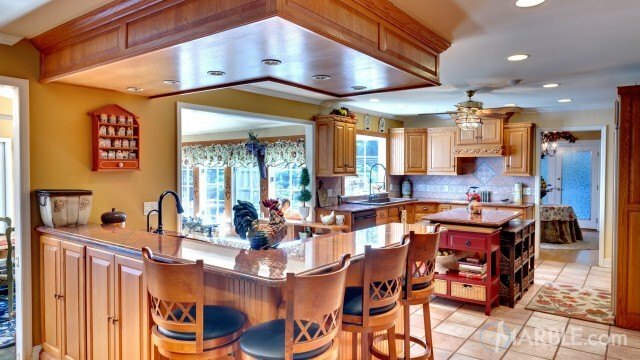 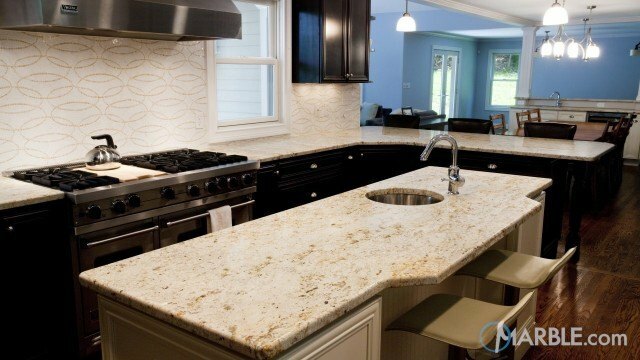 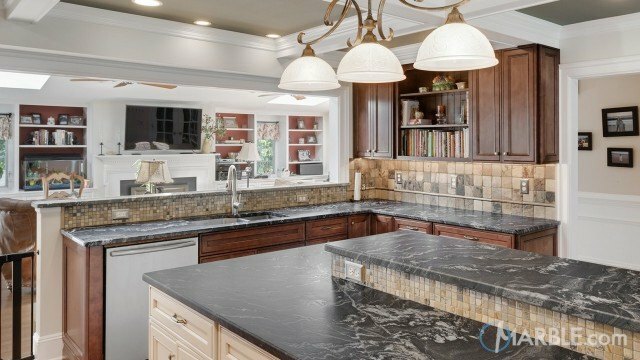 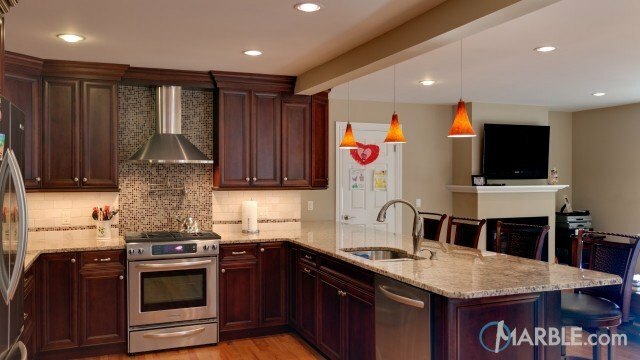 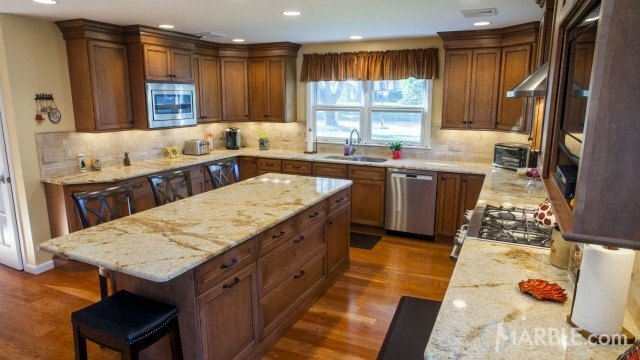 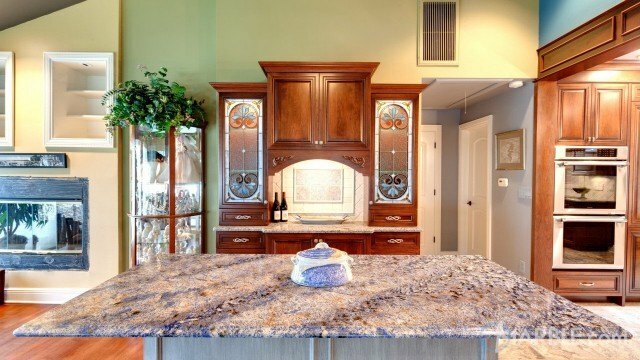 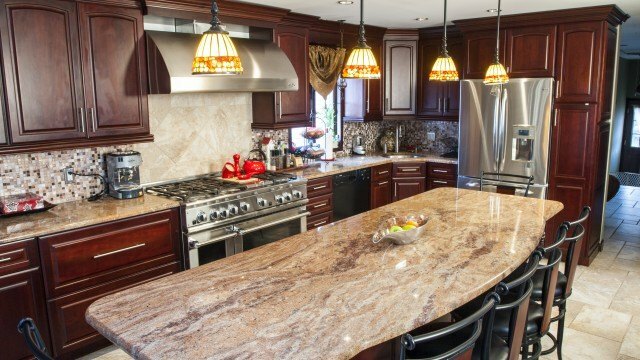 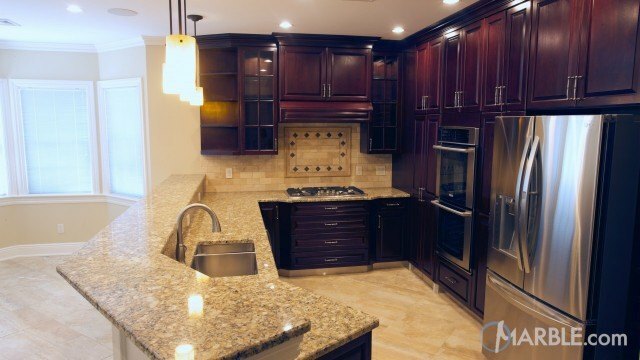 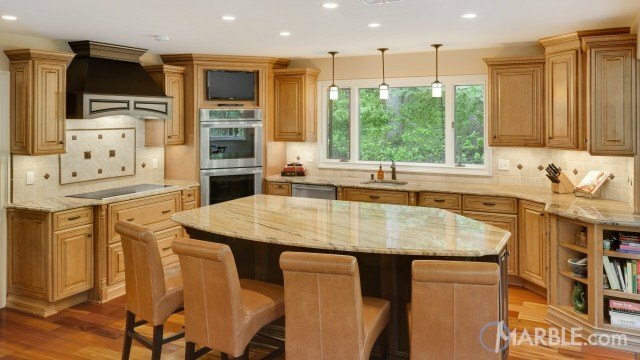 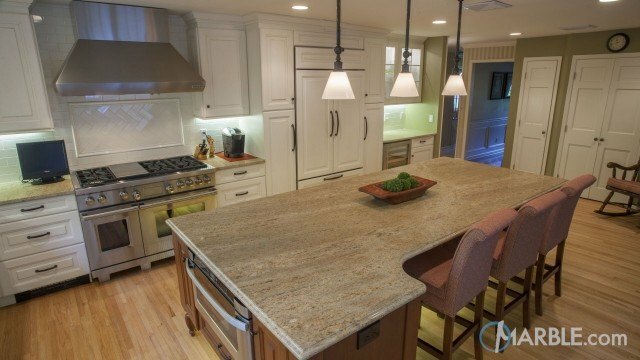 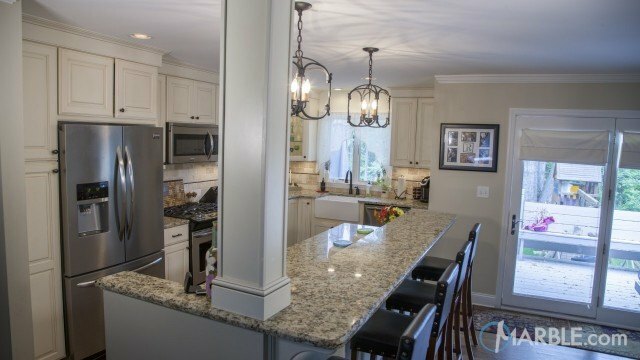 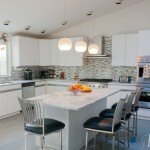 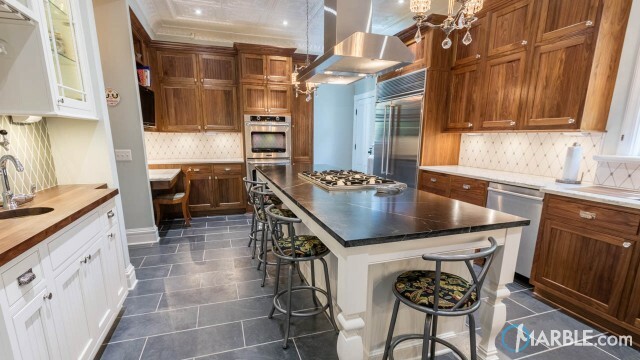 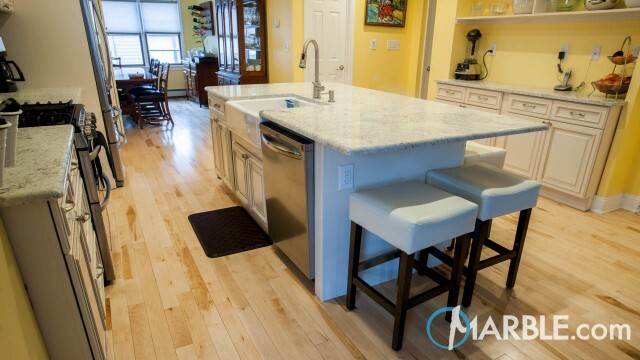 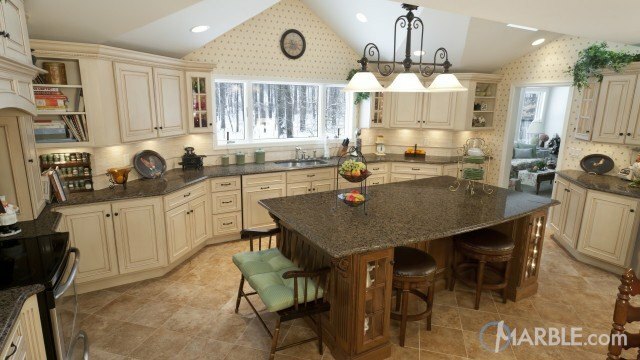 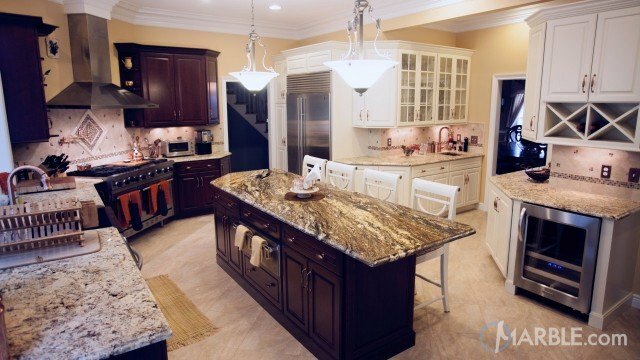 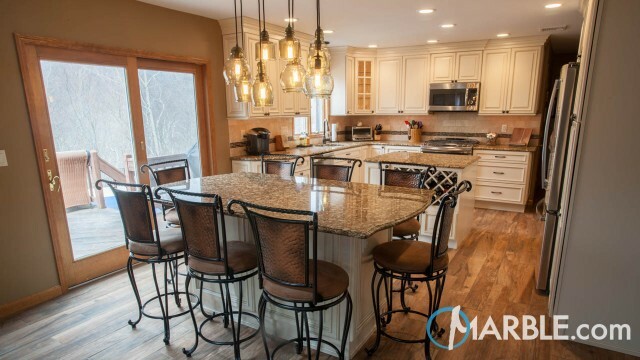 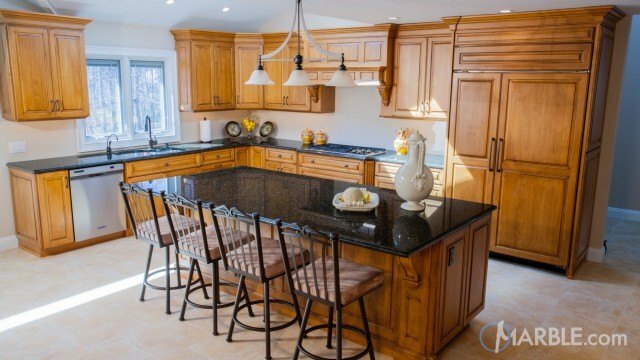 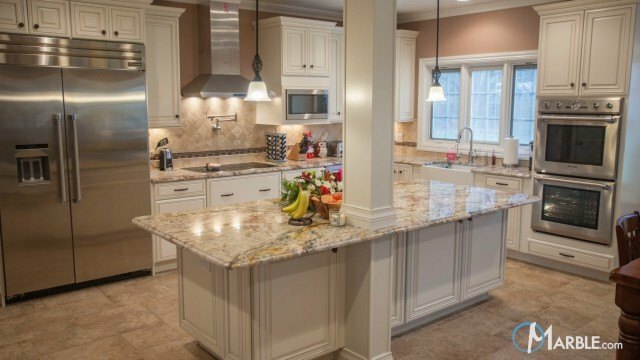 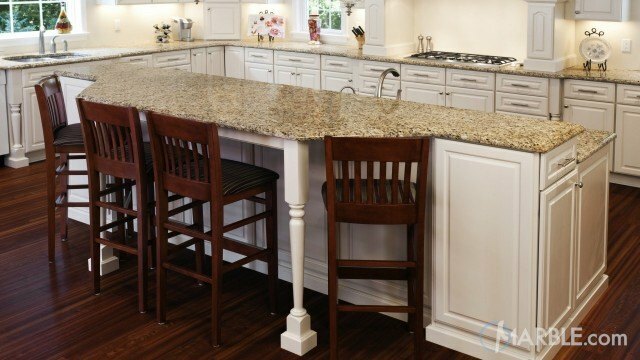 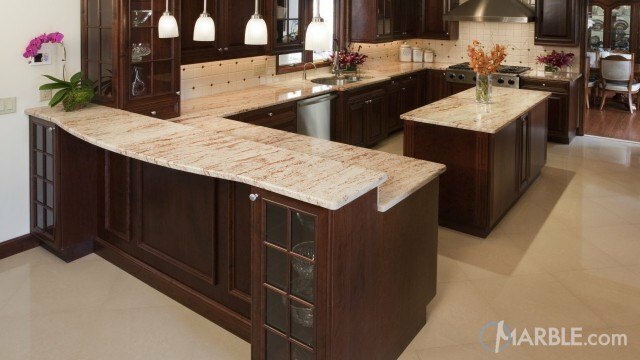 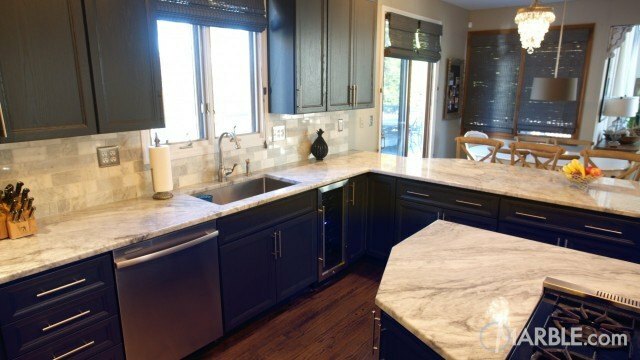 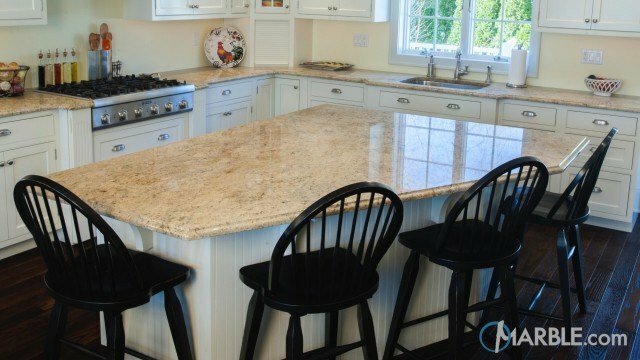 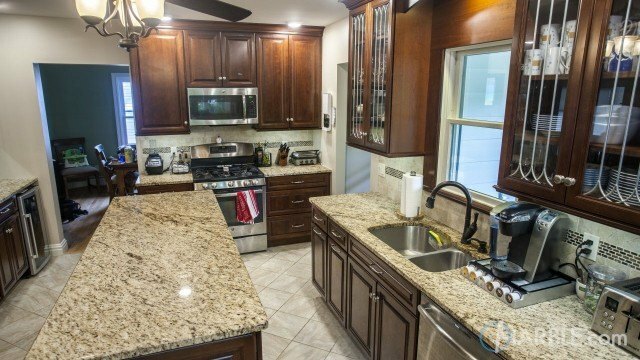 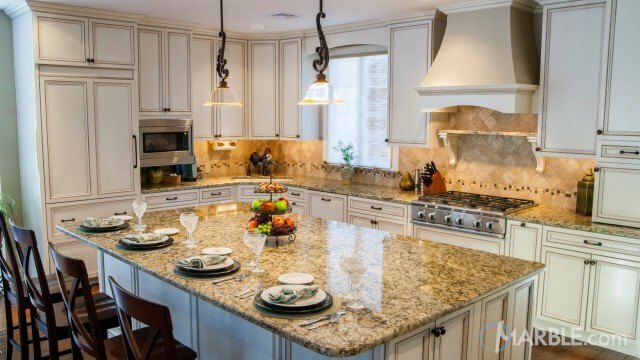 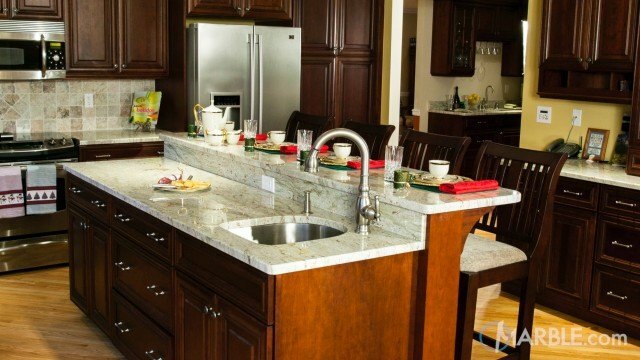 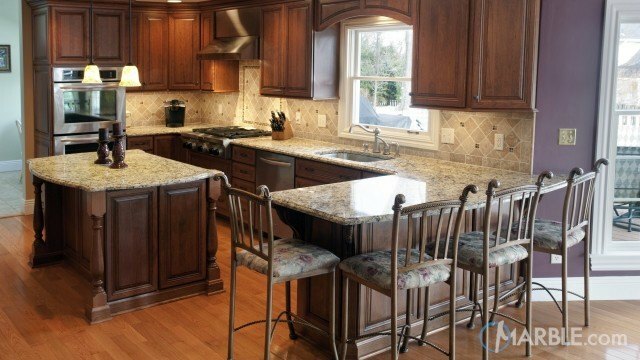 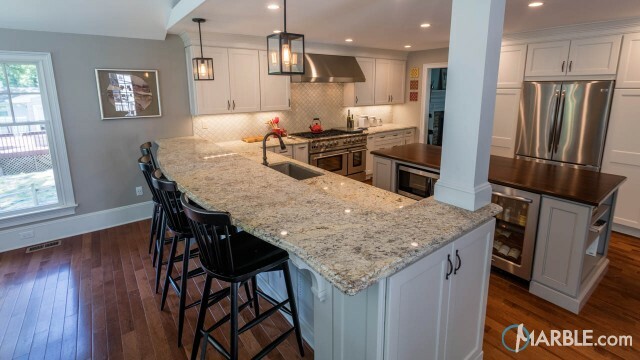 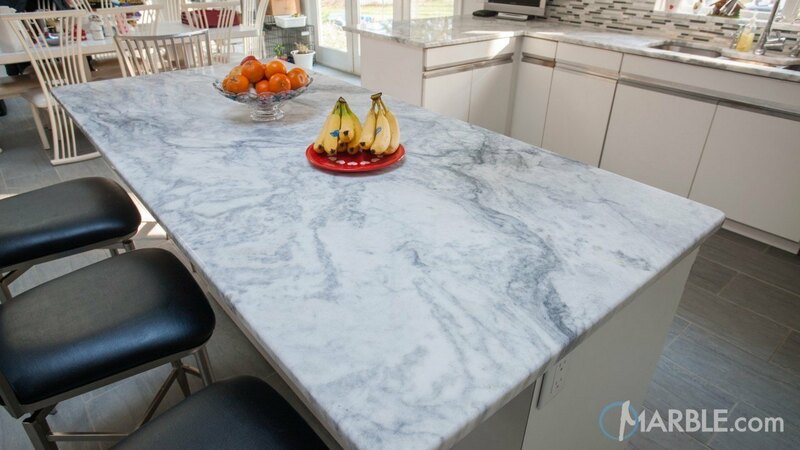 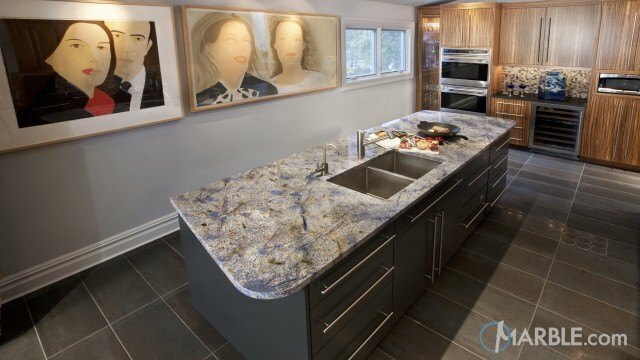 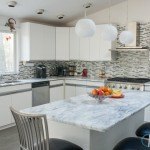 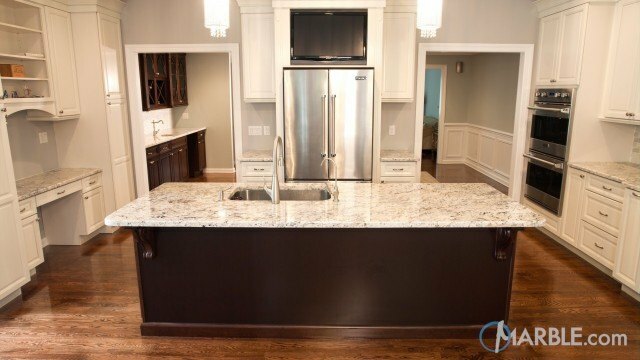 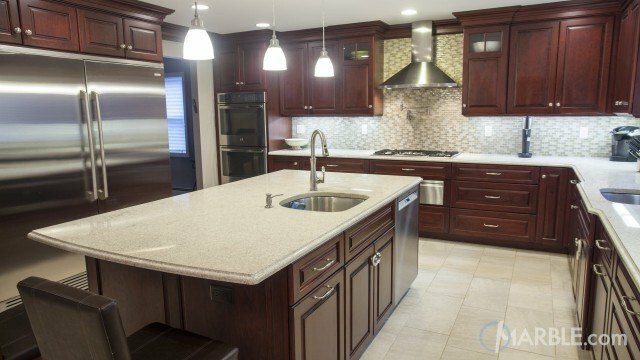 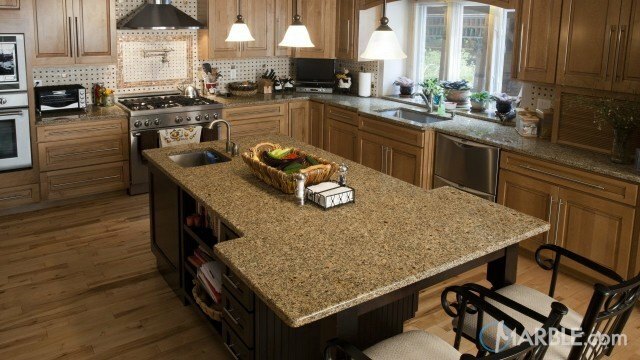 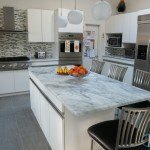 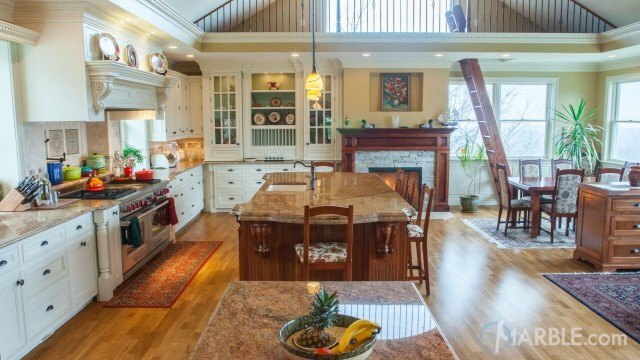 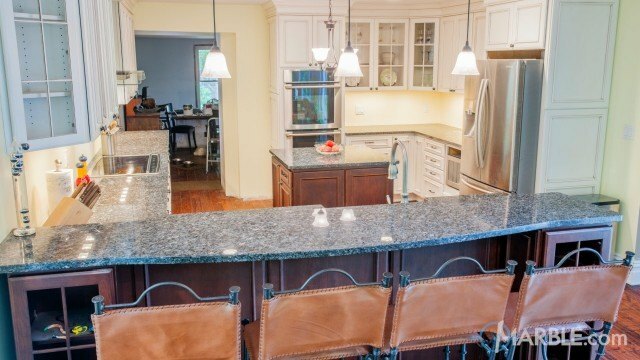 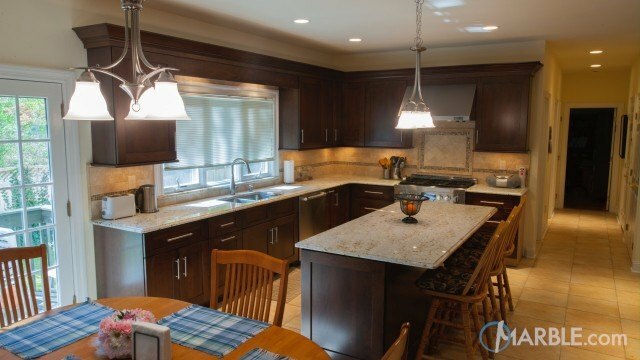 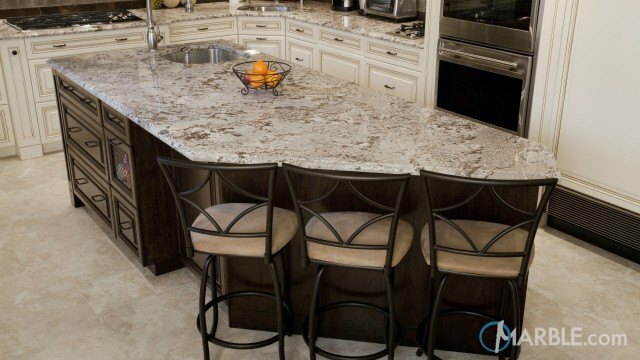 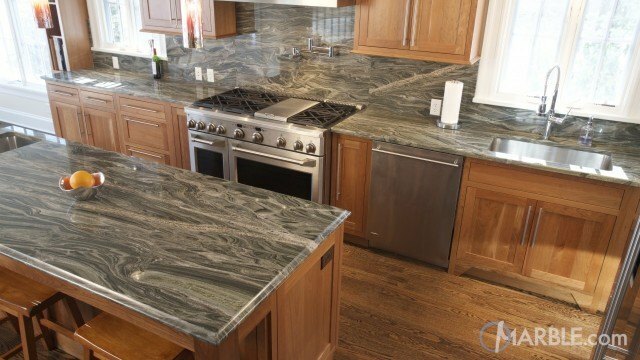 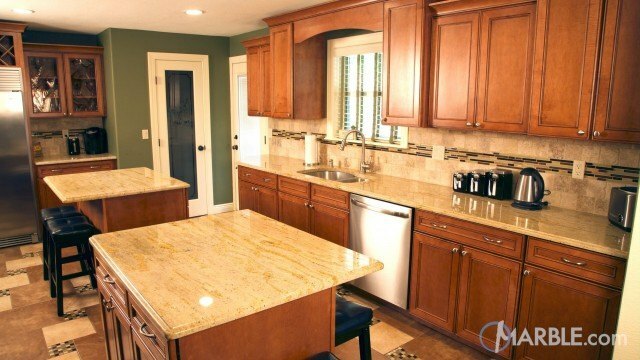 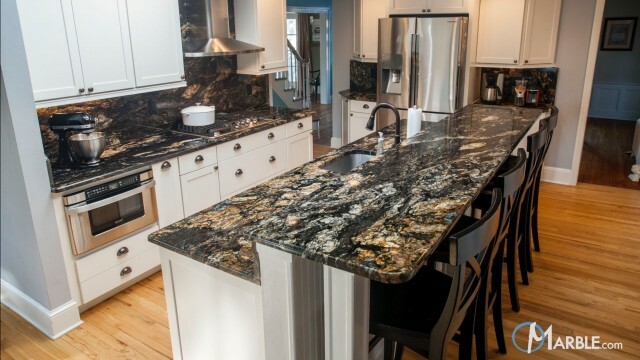 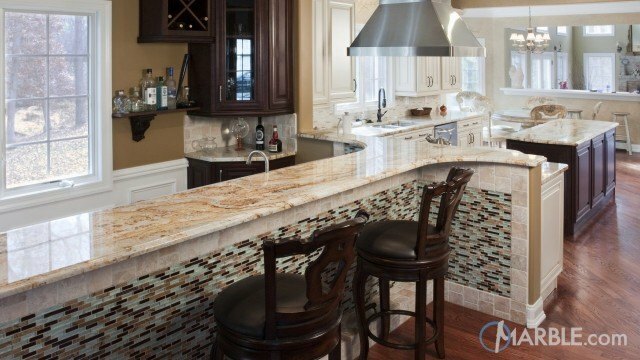 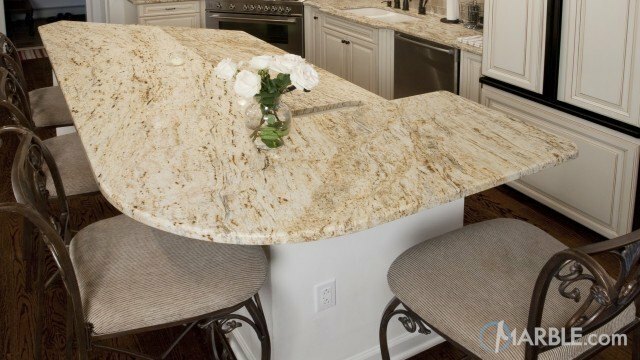 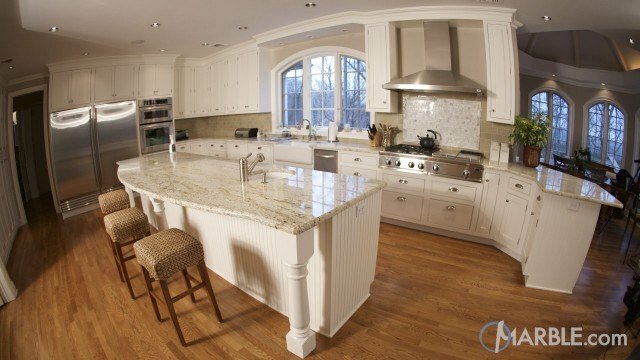 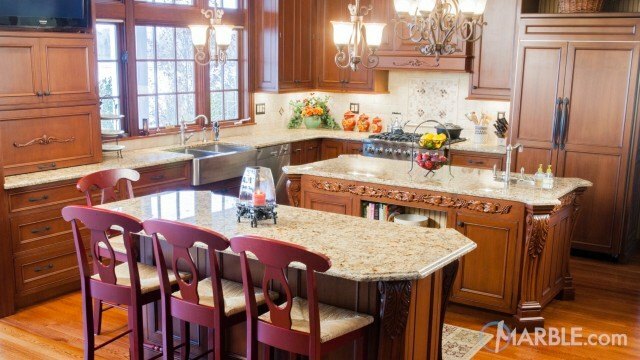 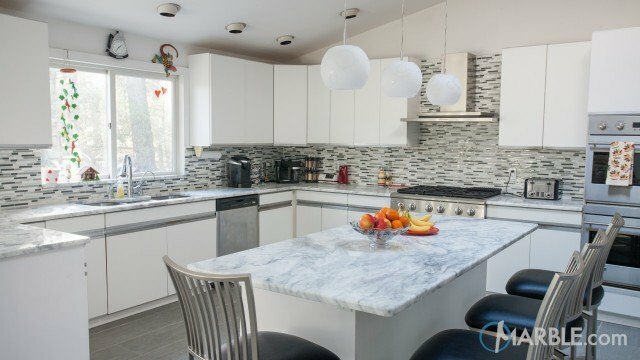 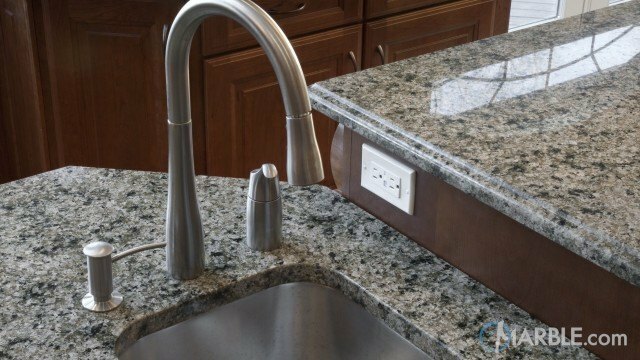 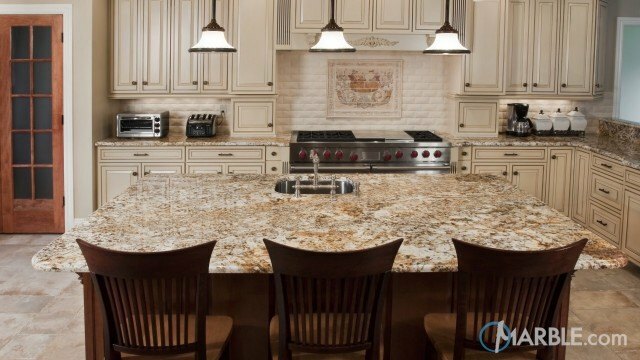 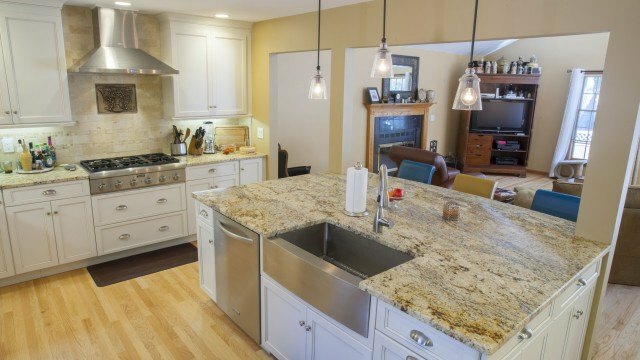 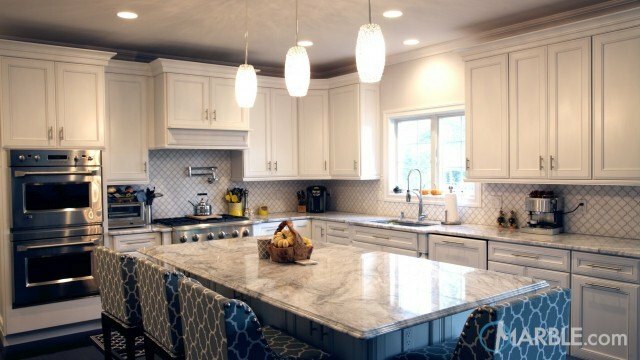 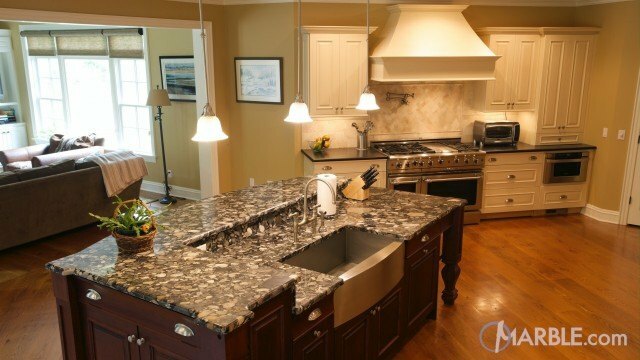 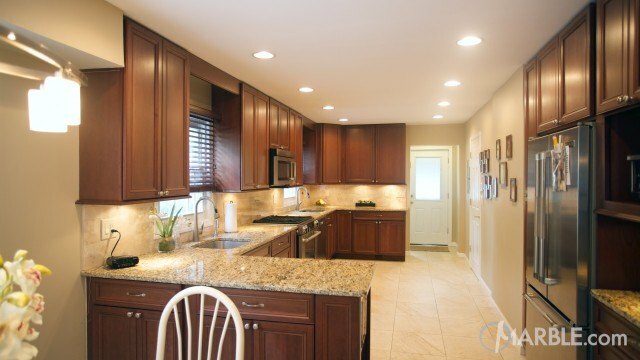 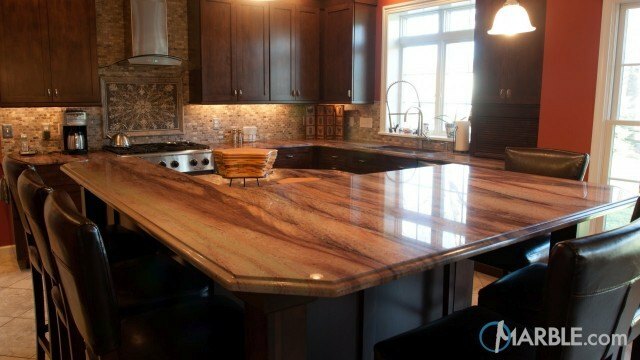 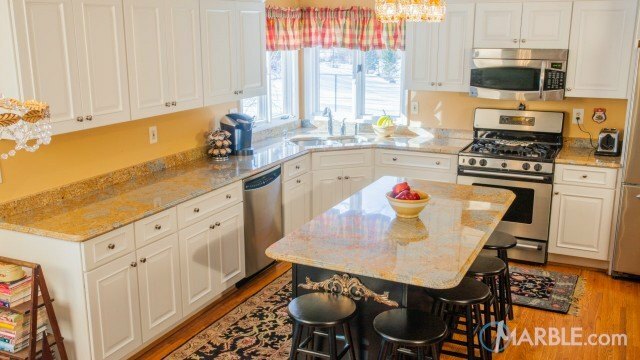 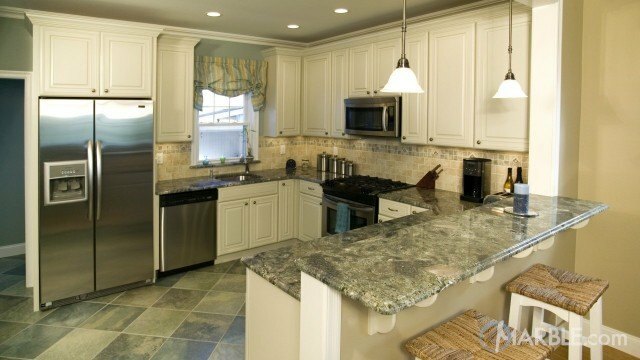 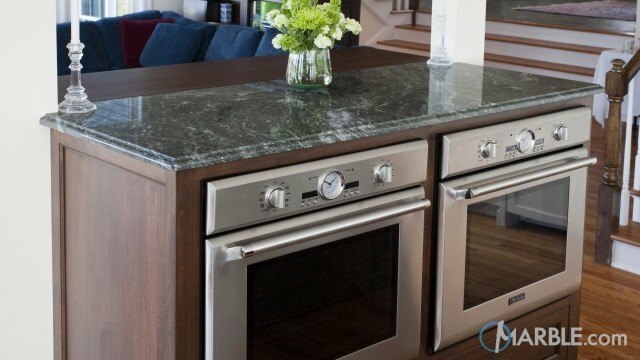 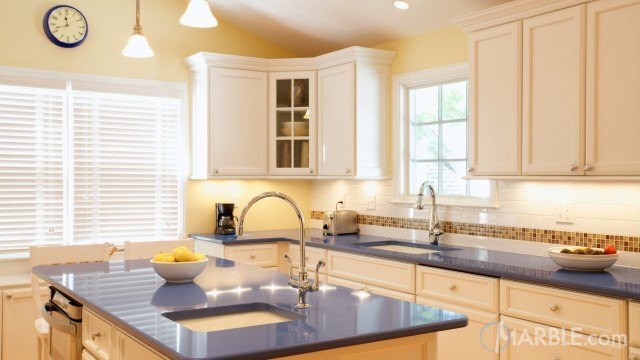 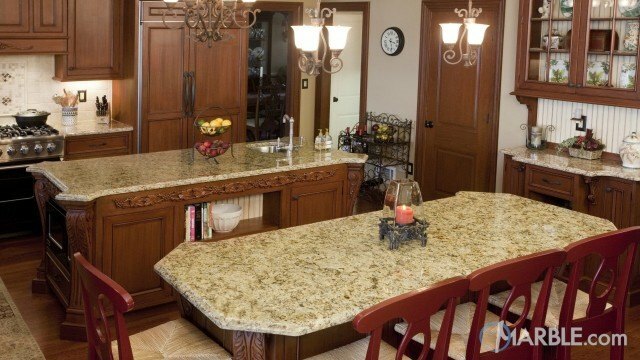 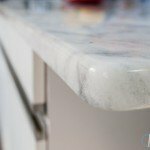 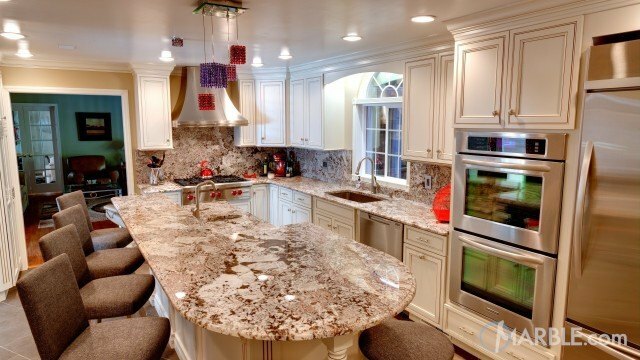 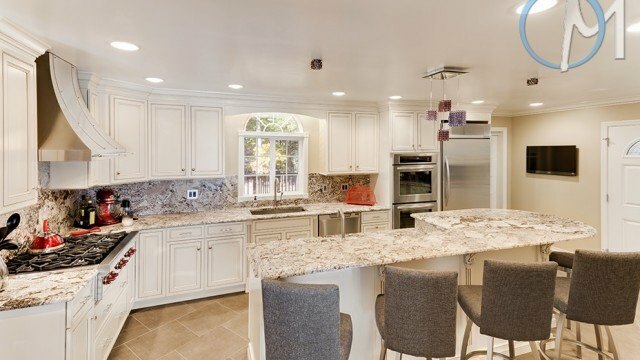 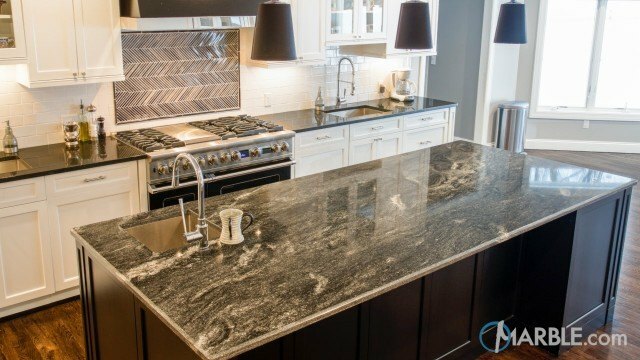 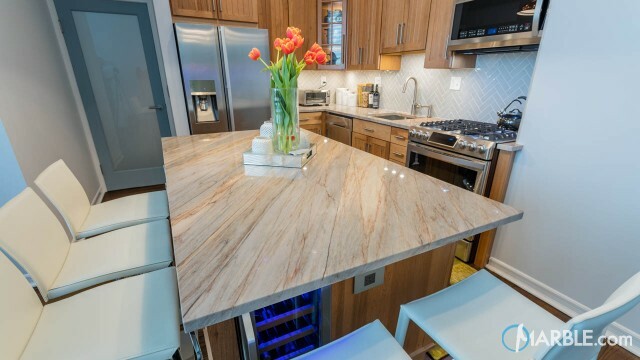 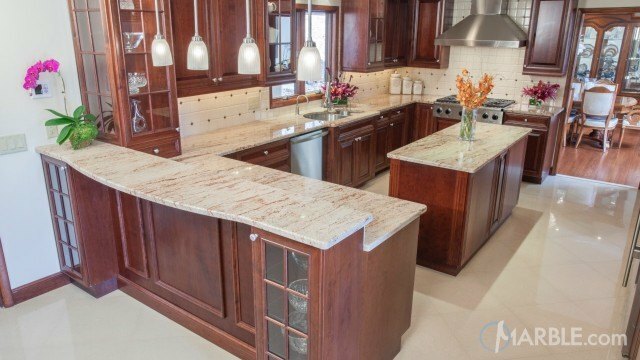 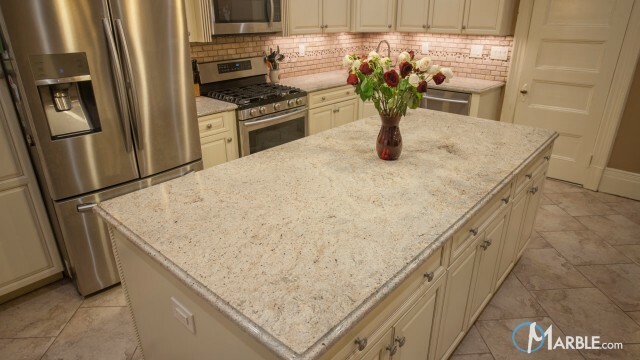 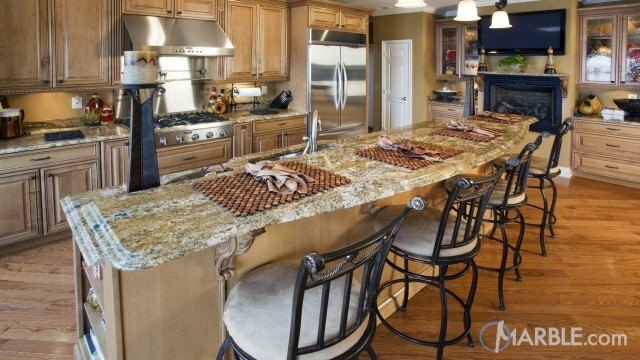 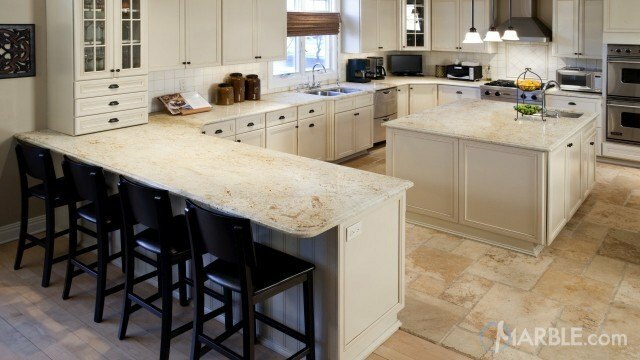 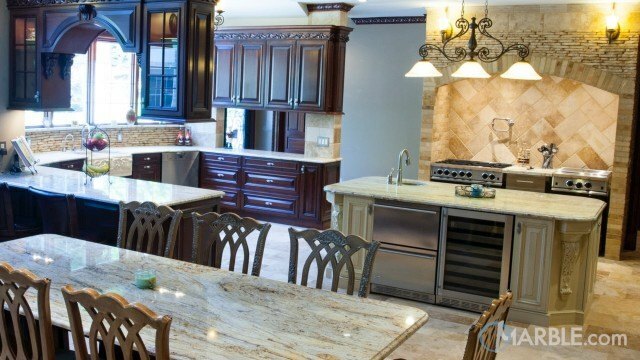 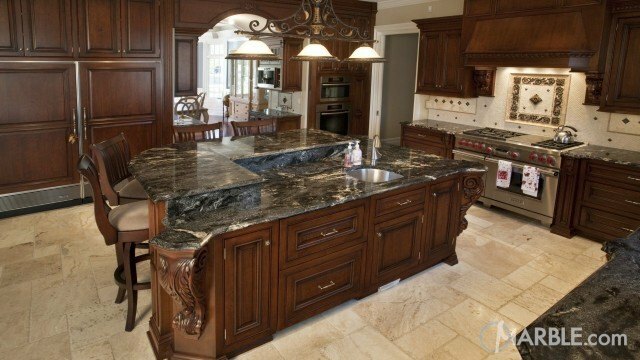 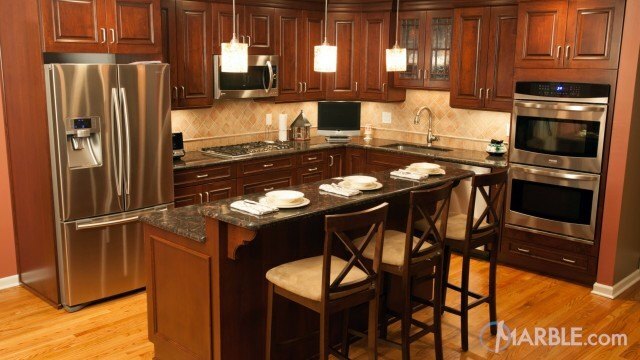 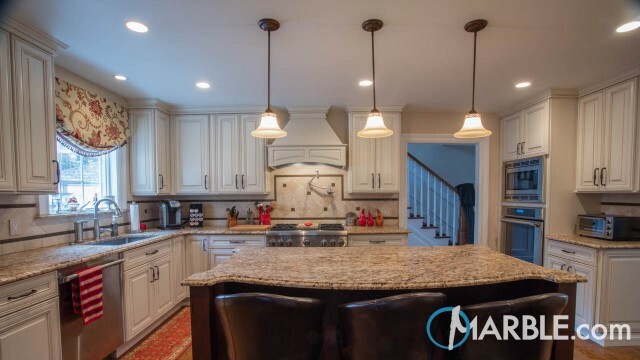 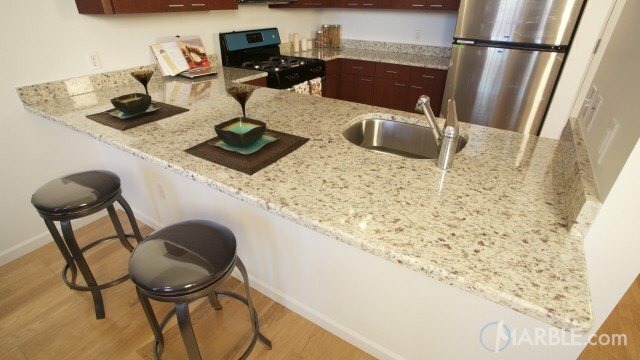 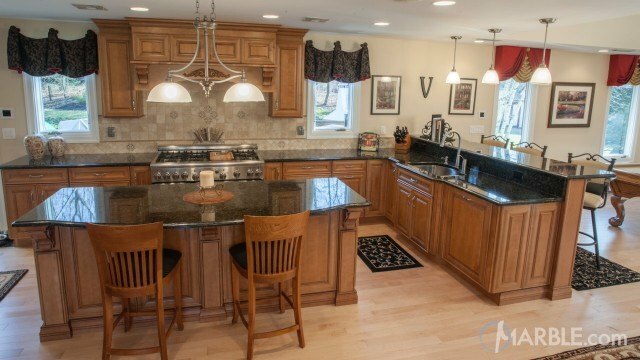 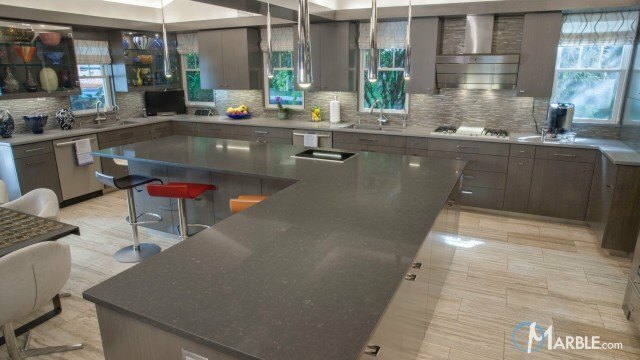 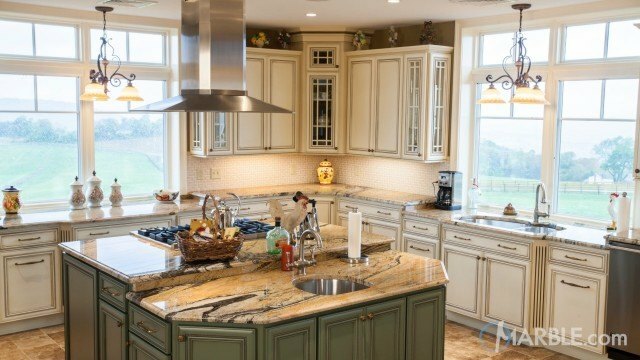 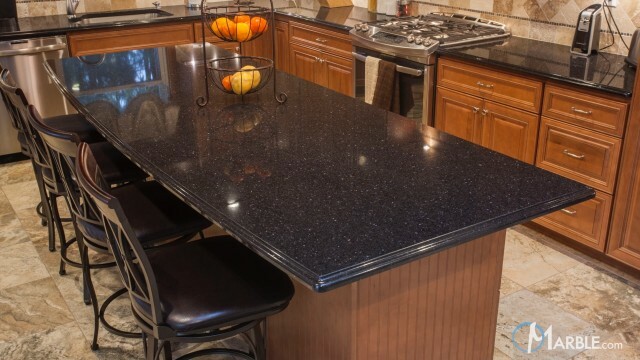 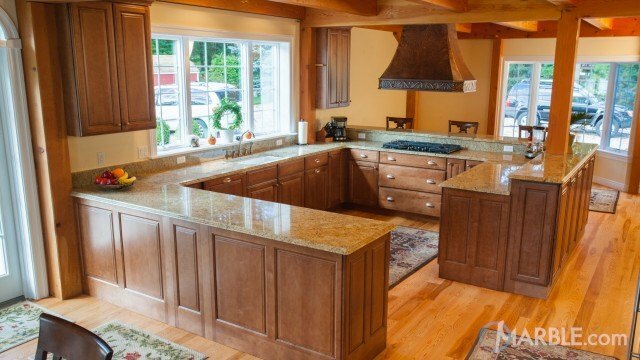 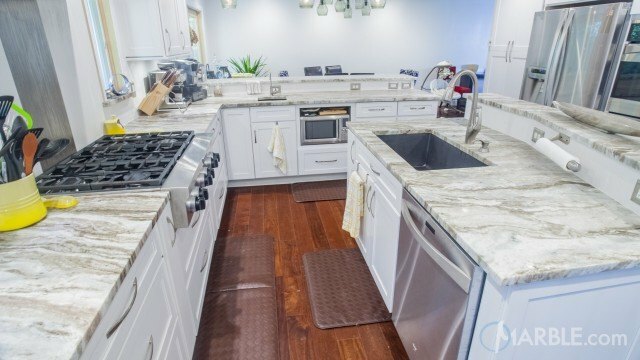 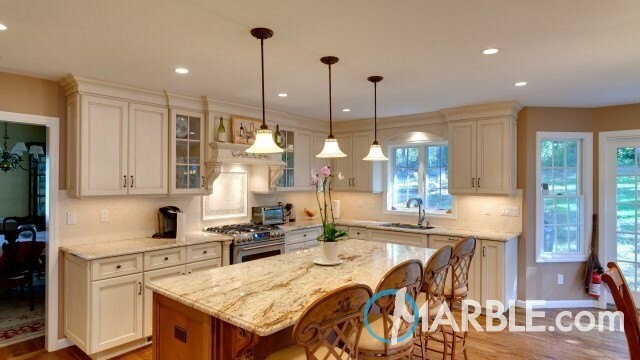 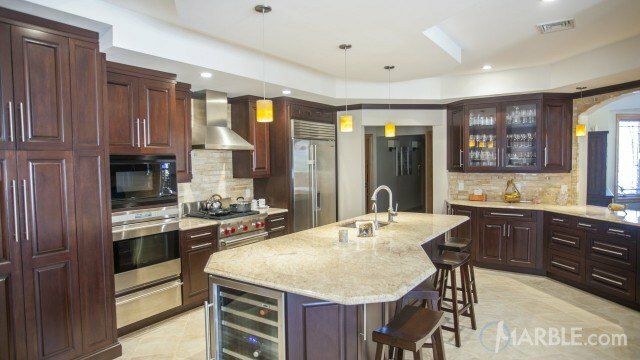 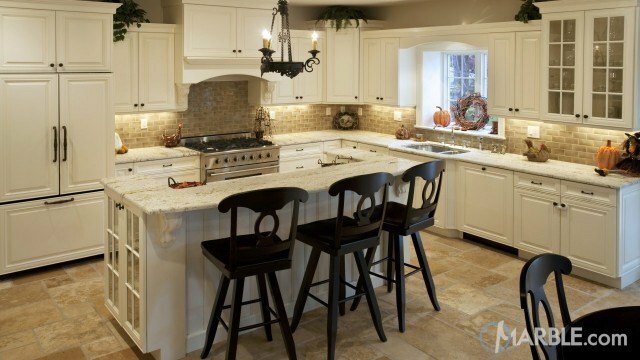 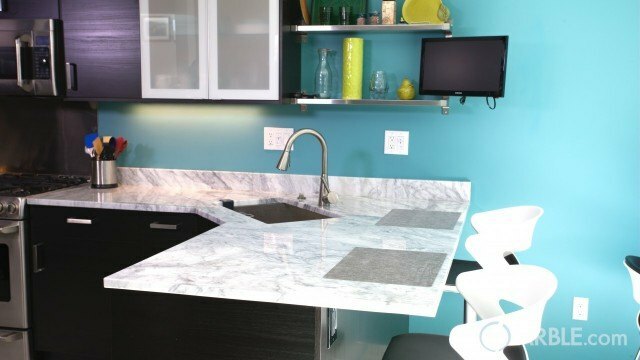 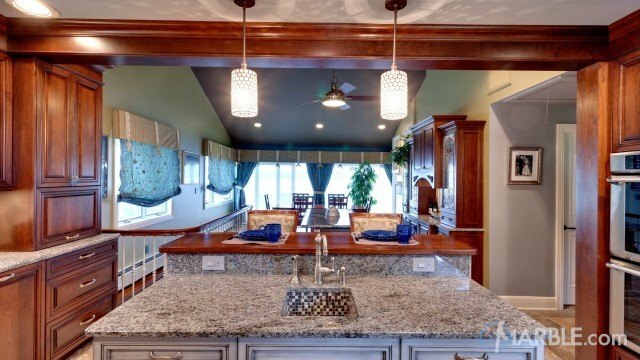 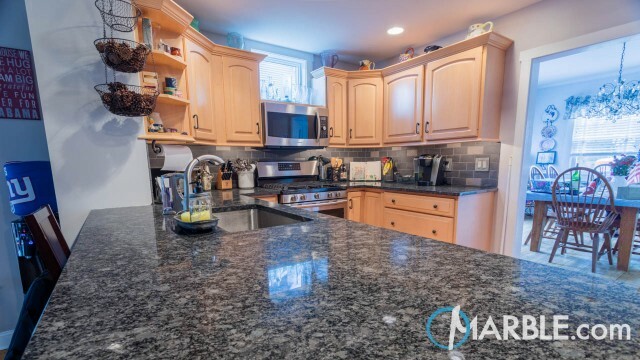 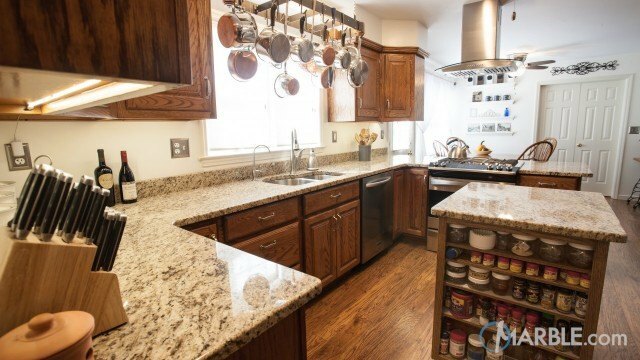 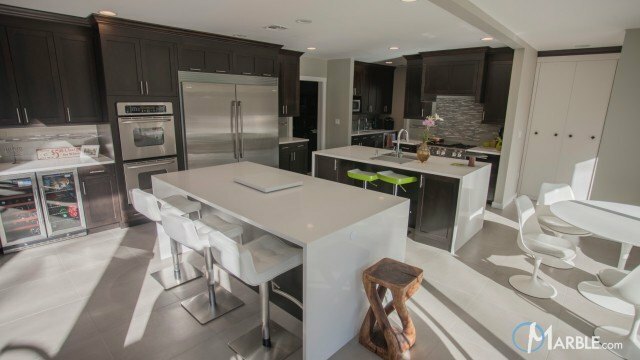 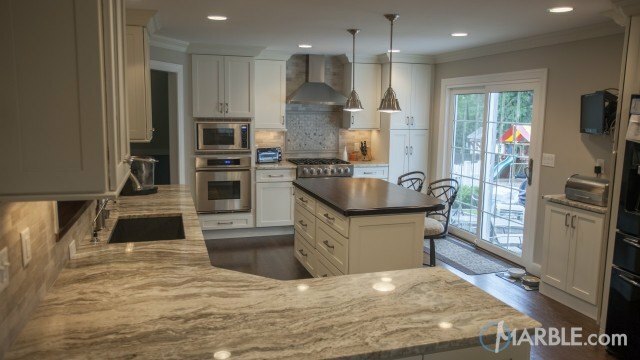 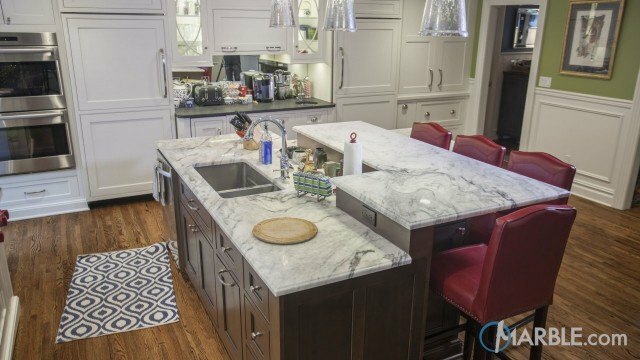 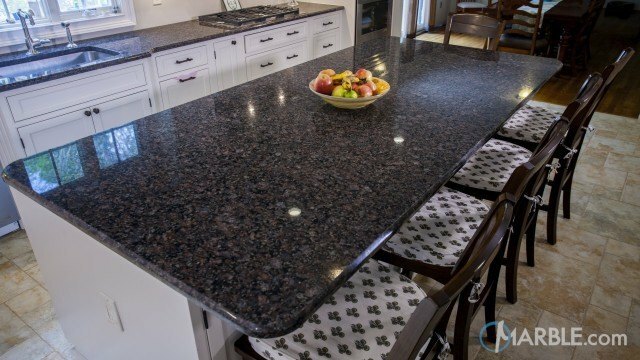 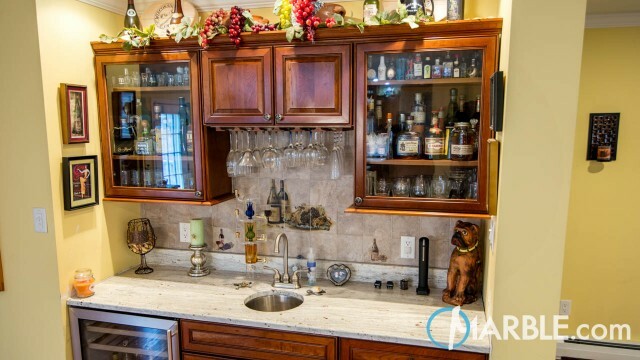 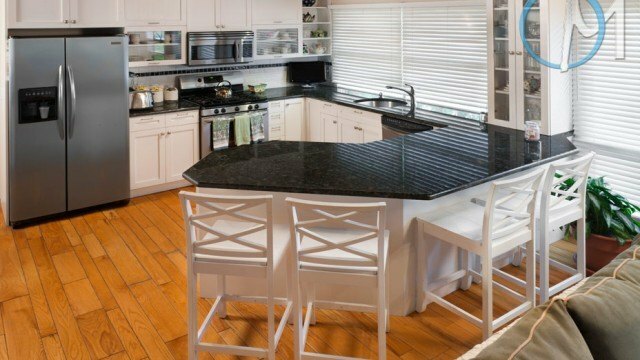 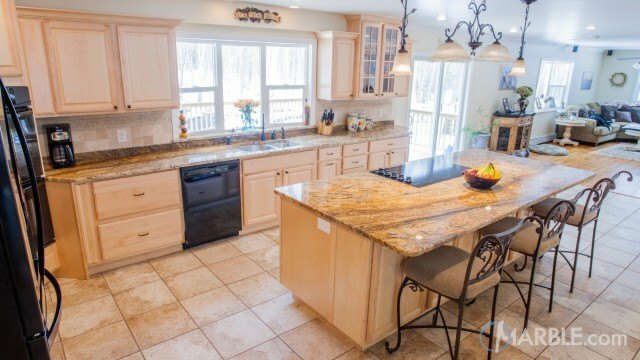 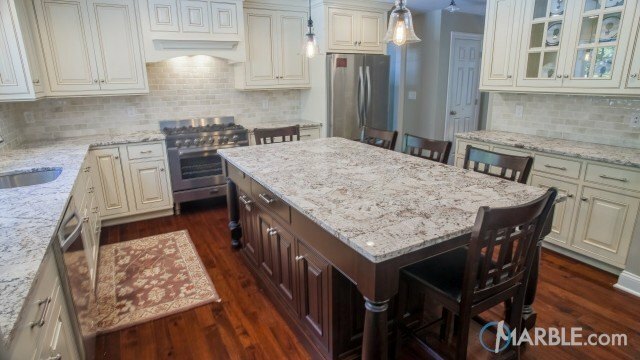 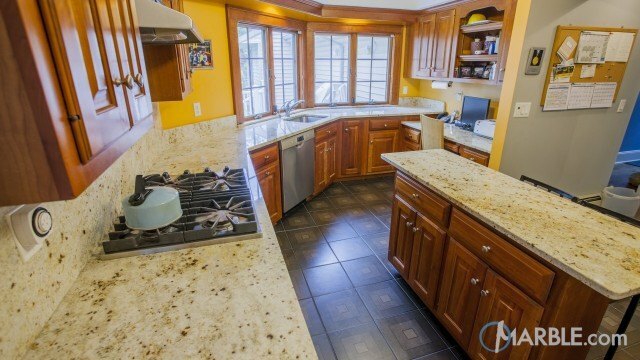 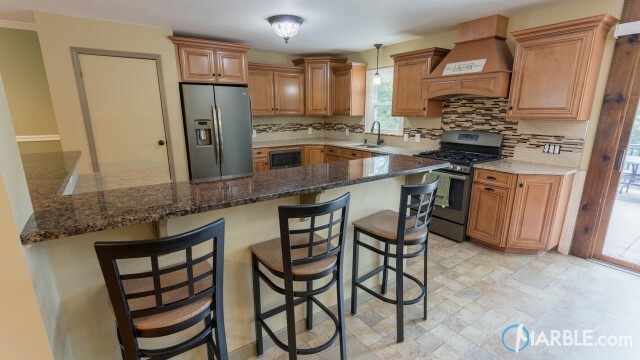 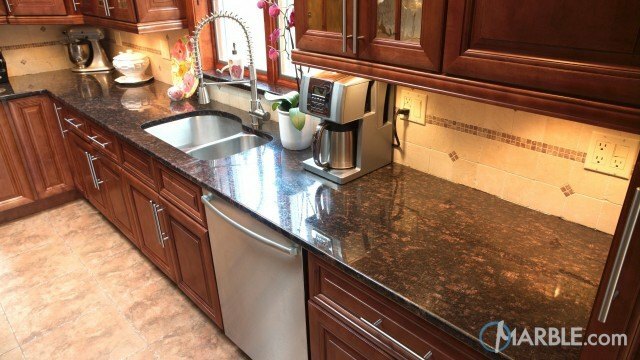 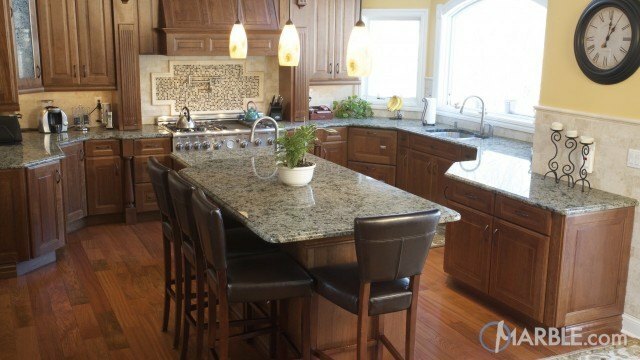 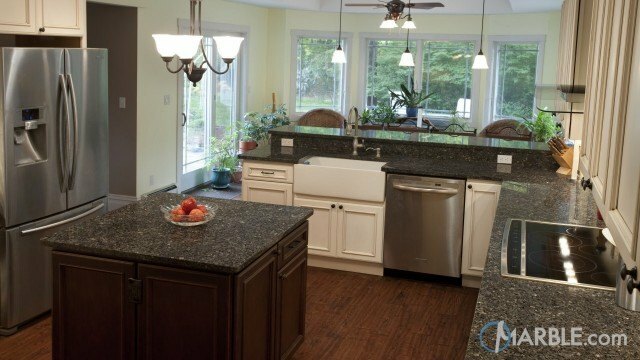 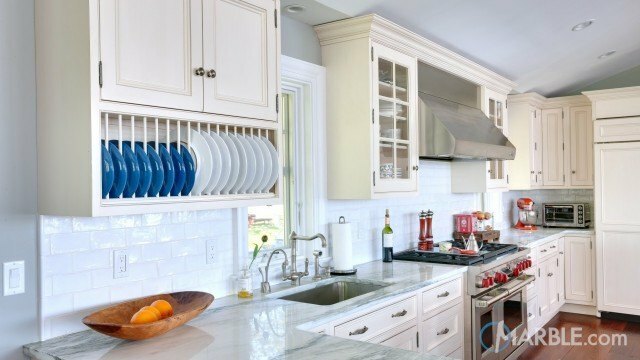 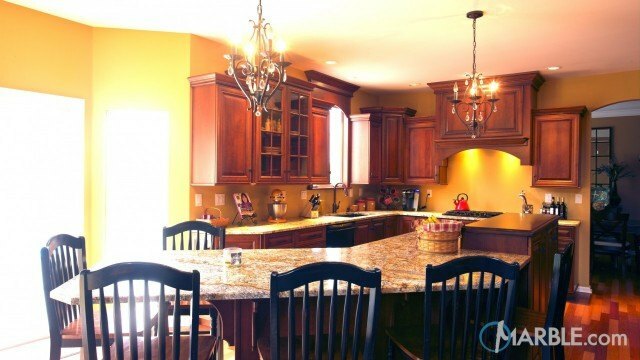 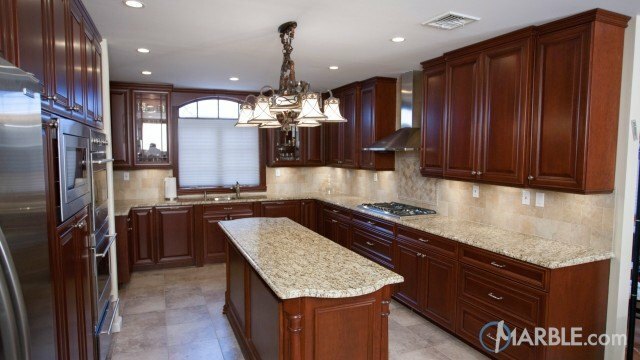 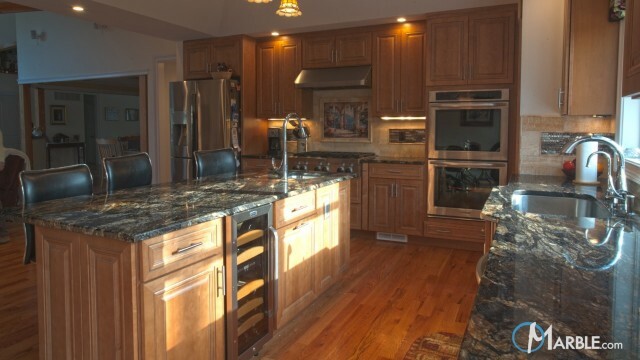 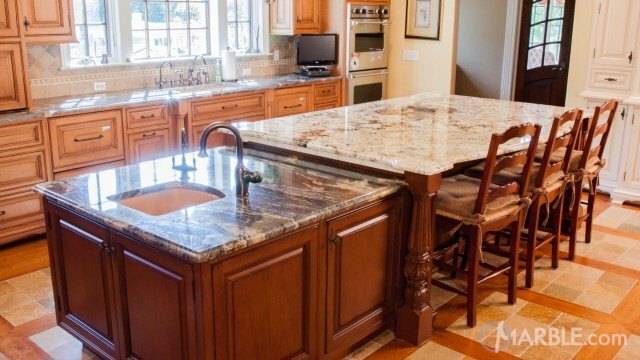 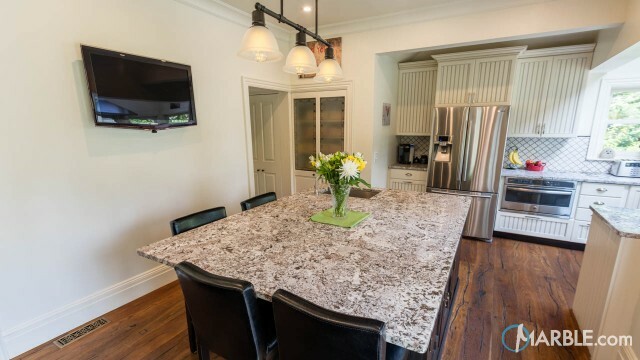 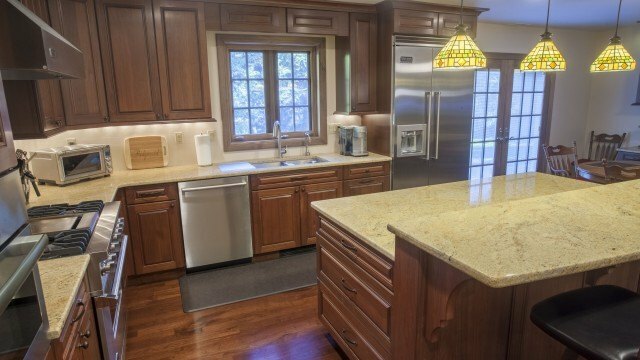 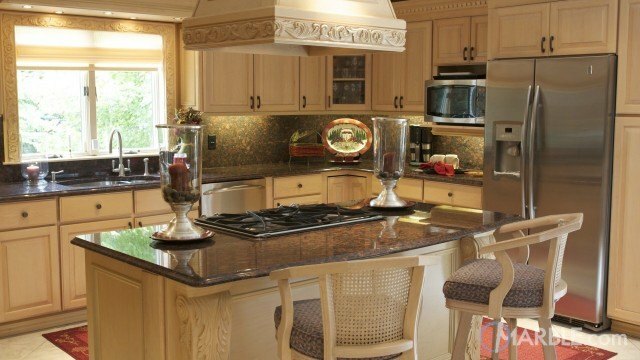 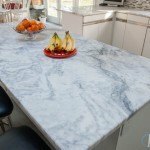 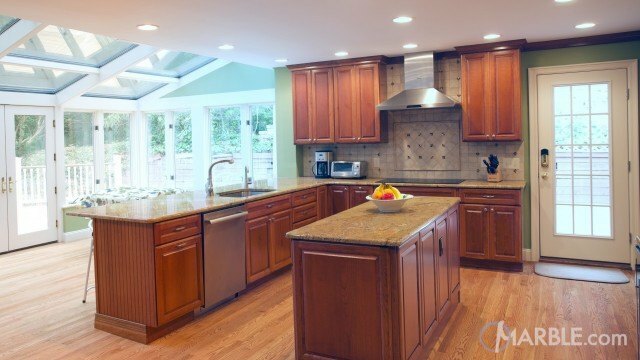 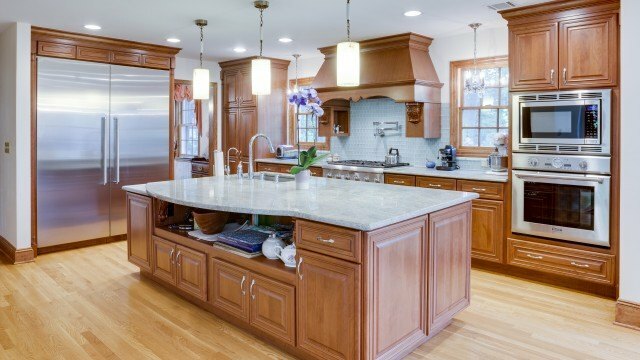 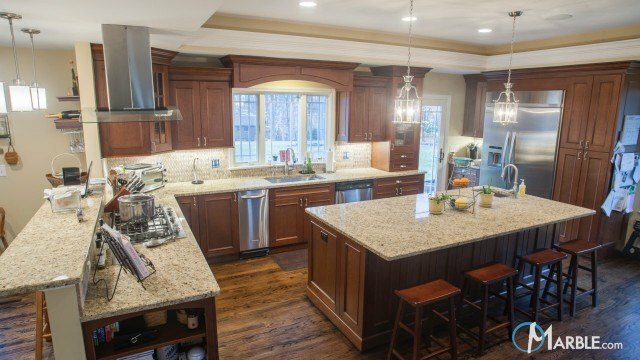 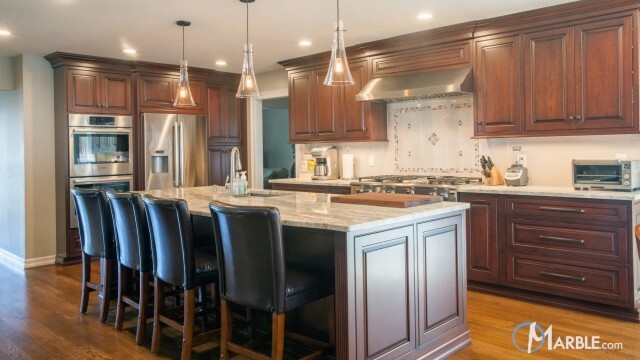 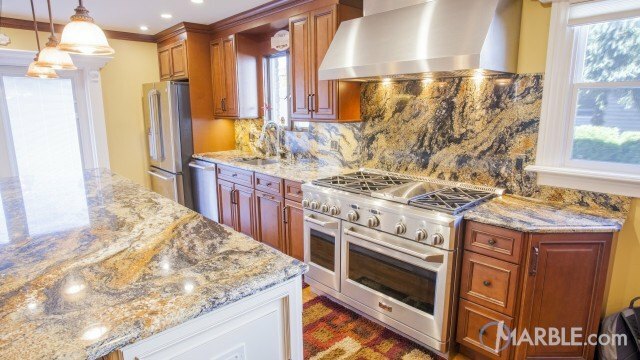 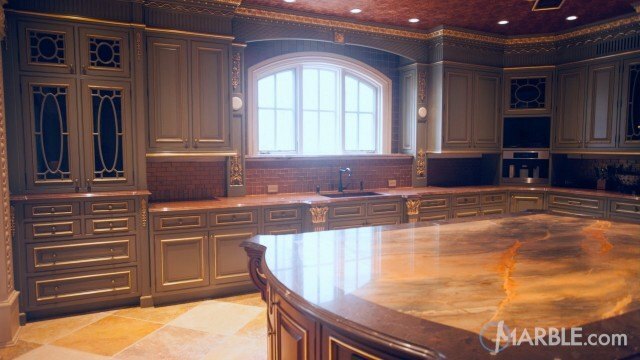 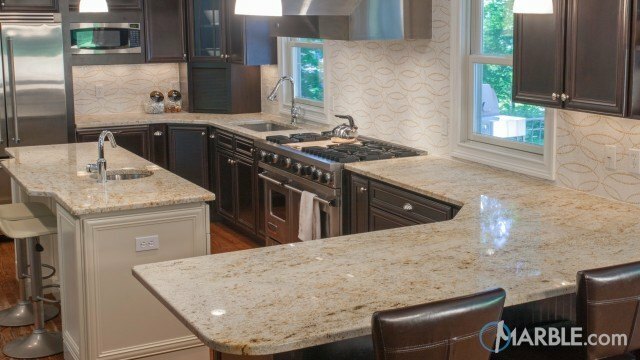 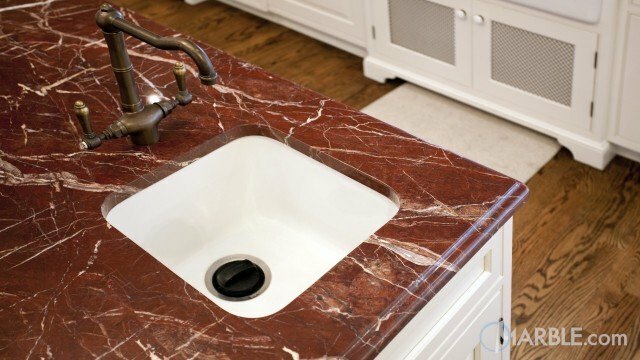 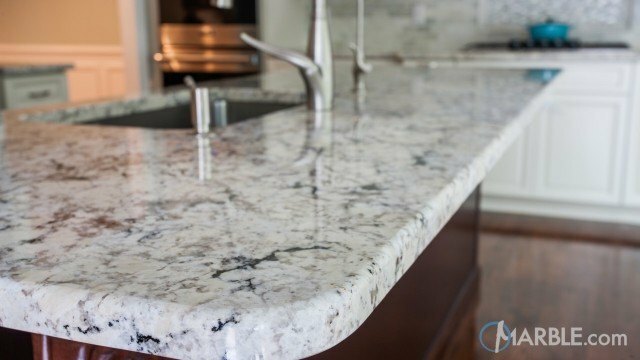 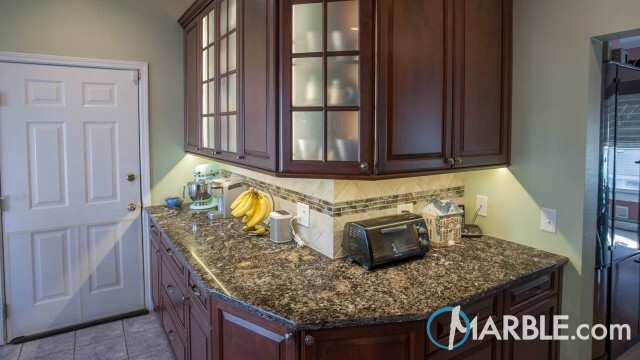 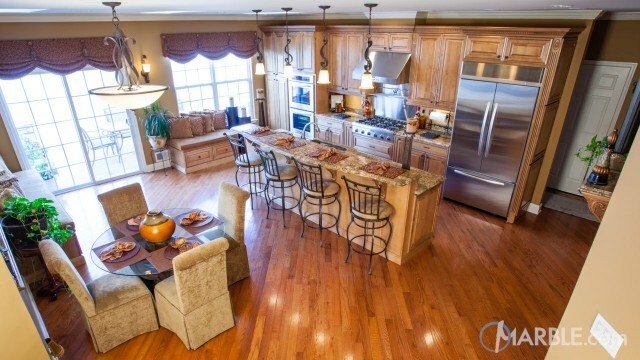 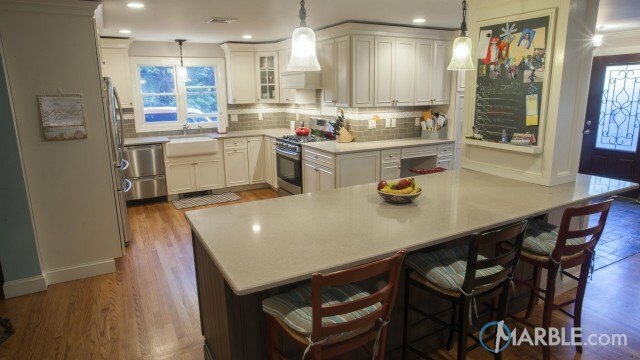 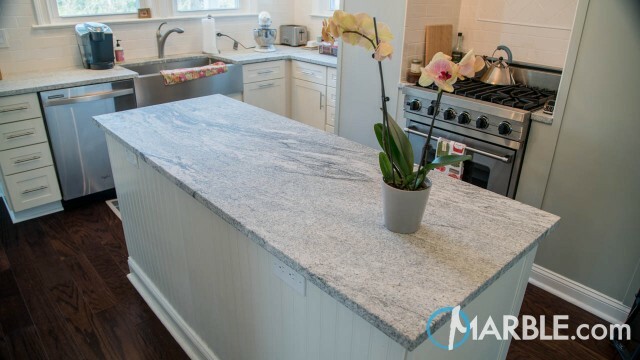 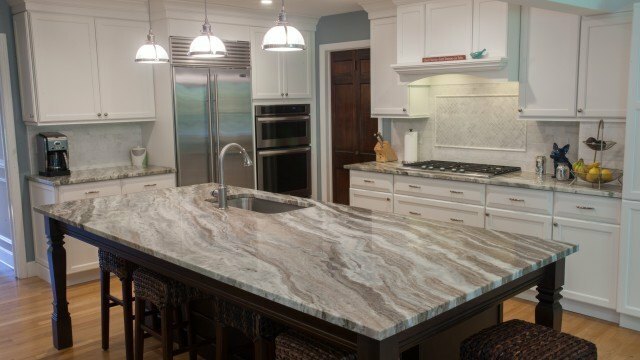 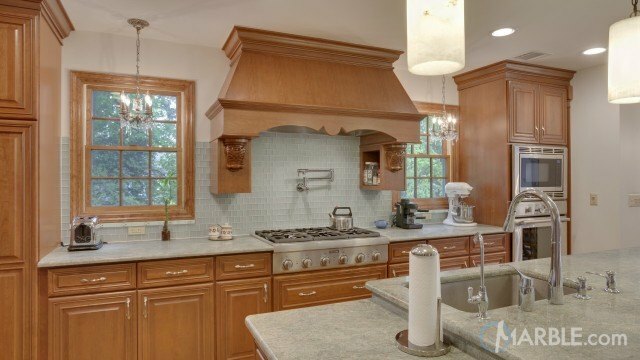 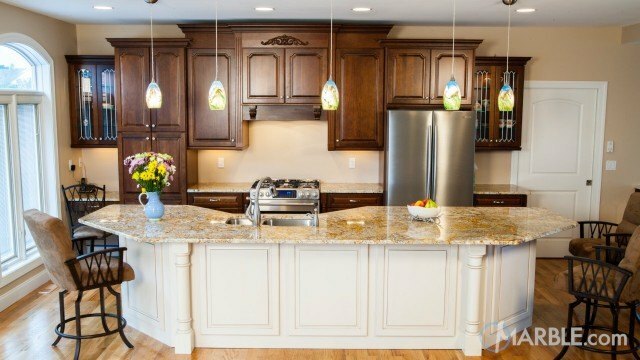 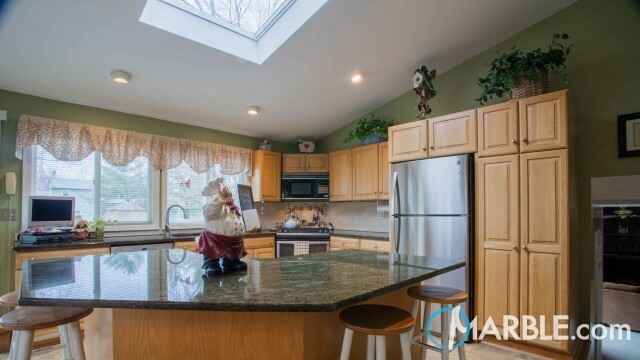 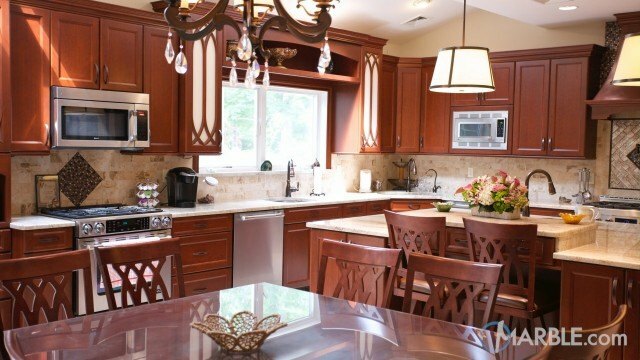 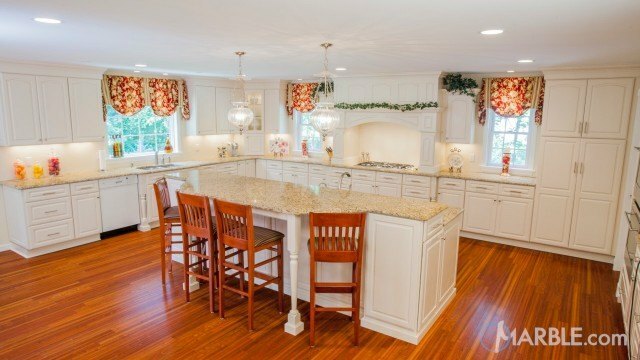 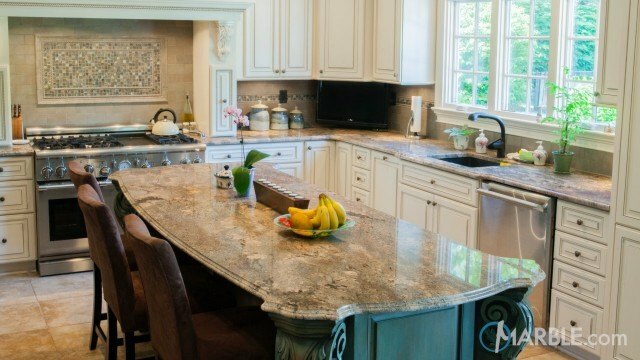 The center island is a great work area and the overhang creates a breakfast bar perfect for families. 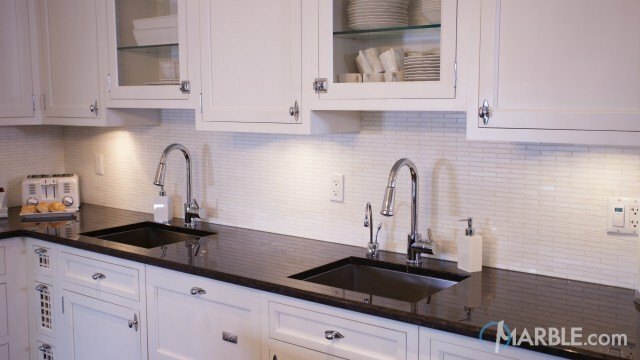 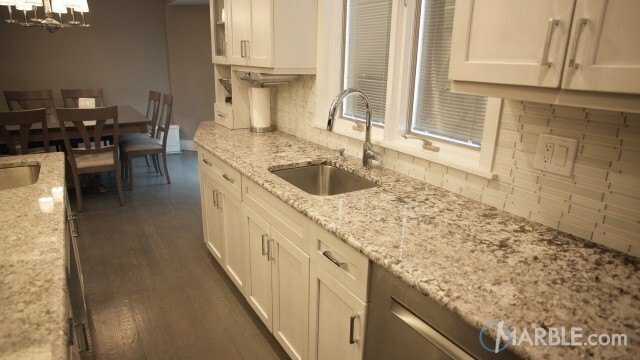 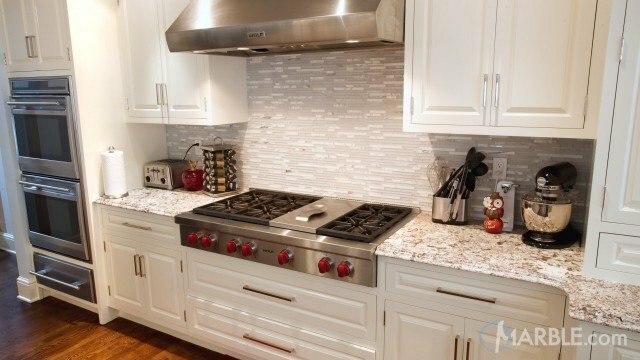 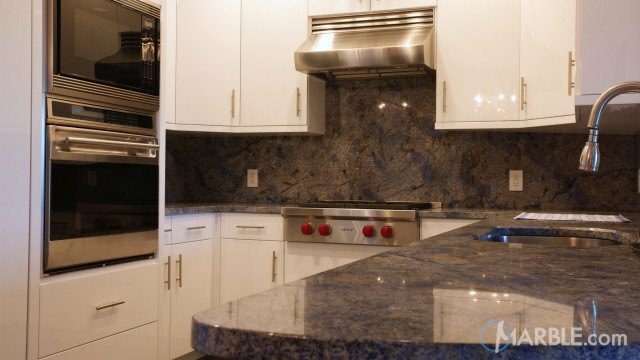 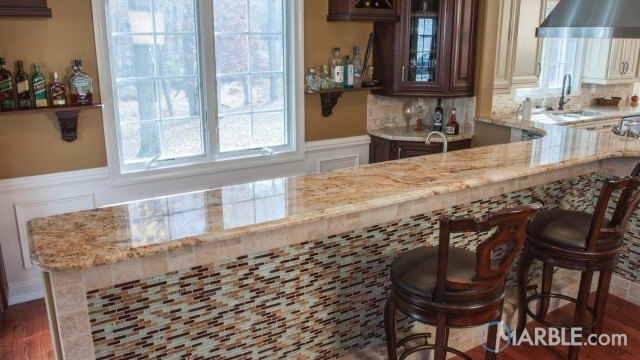 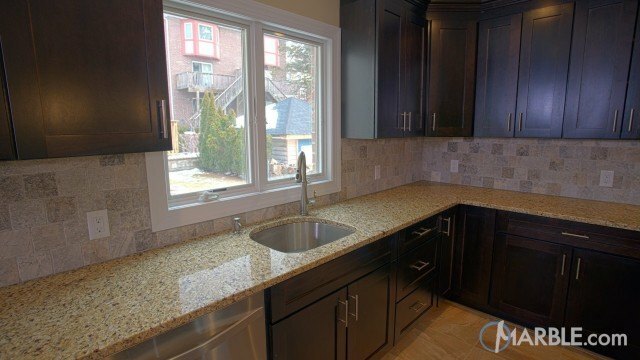 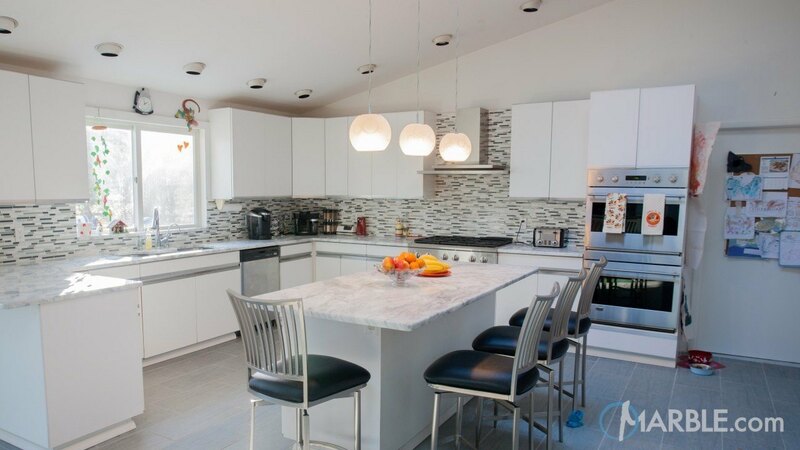 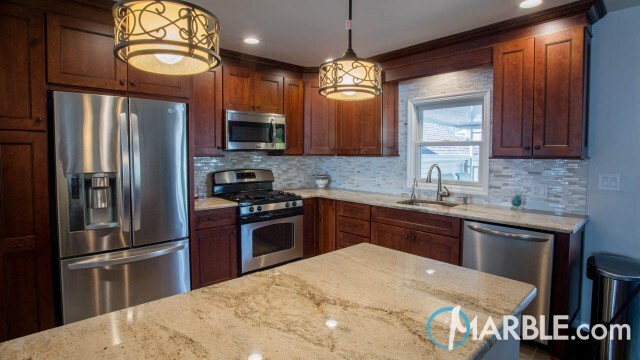 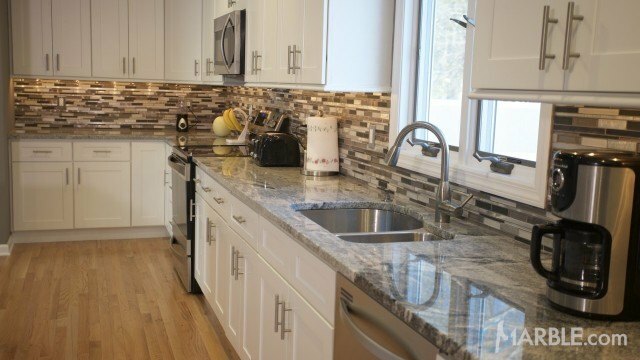 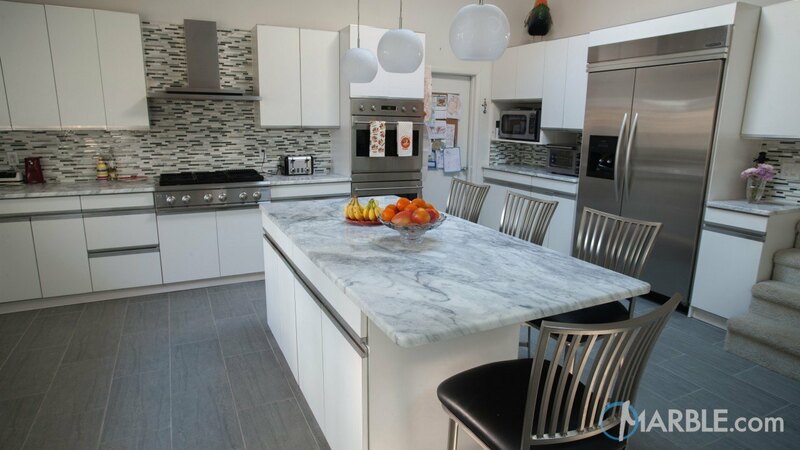 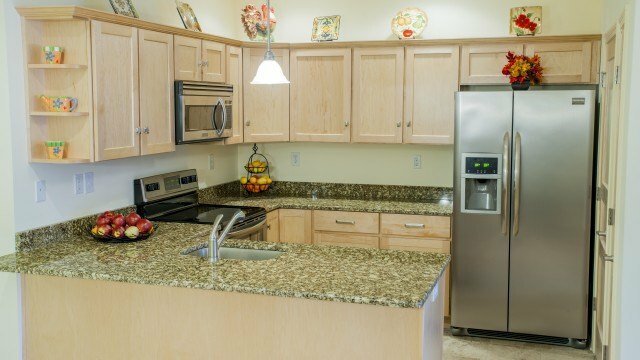 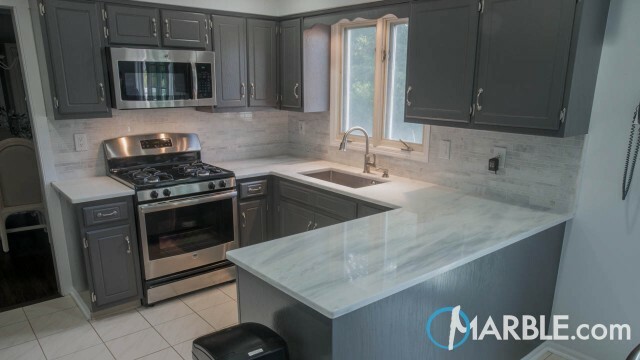 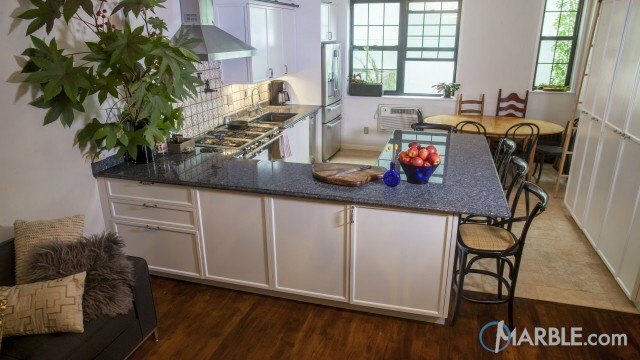 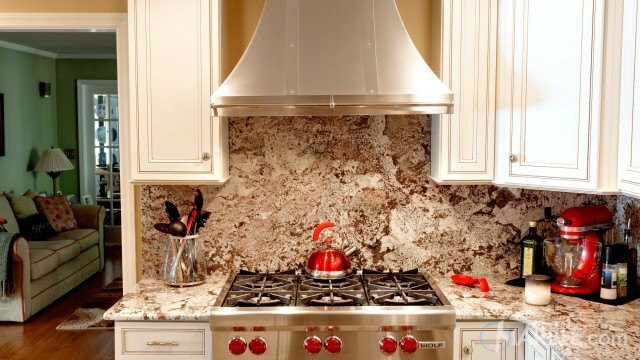 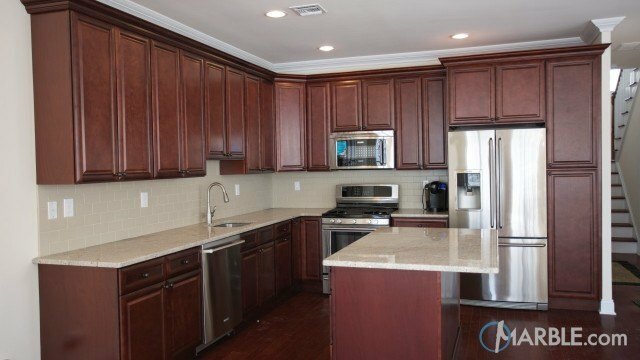 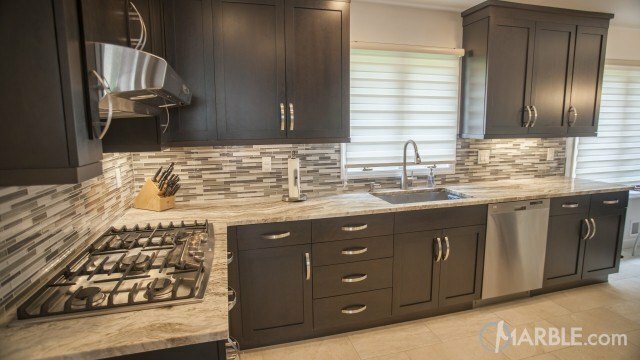 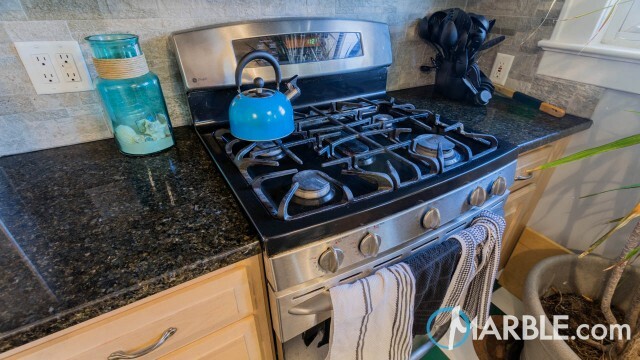 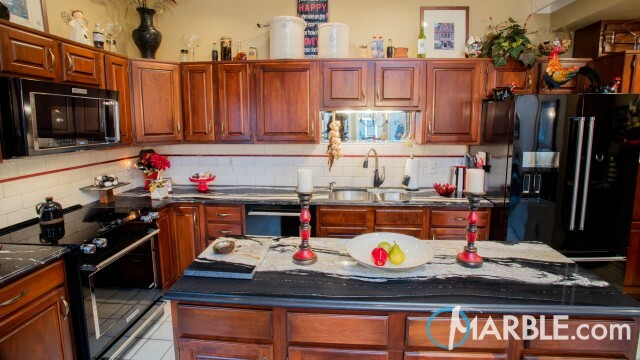 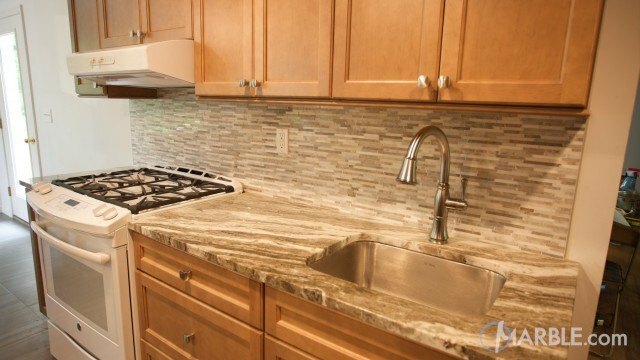 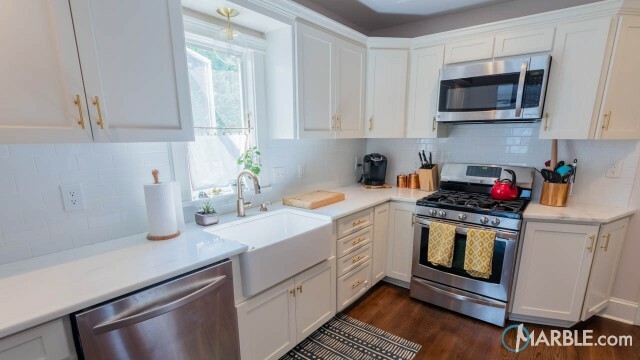 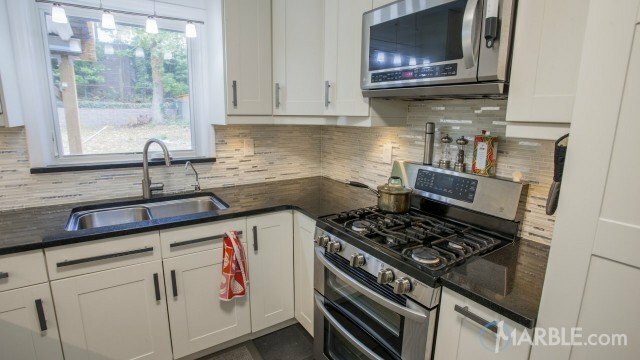 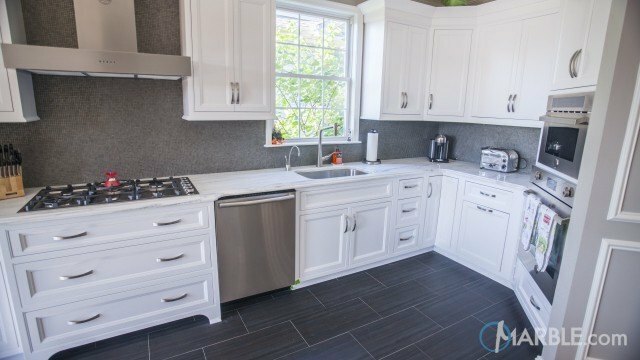 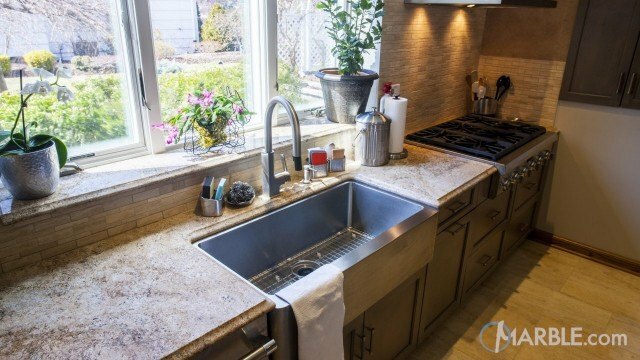 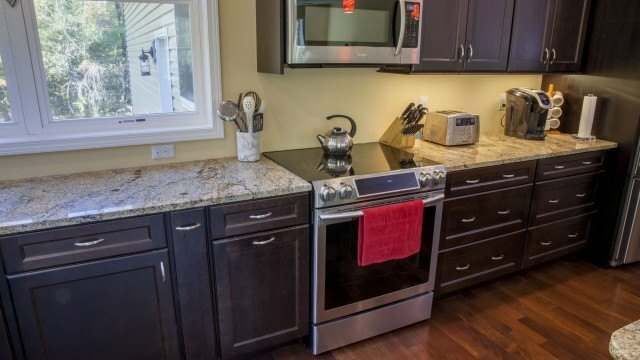 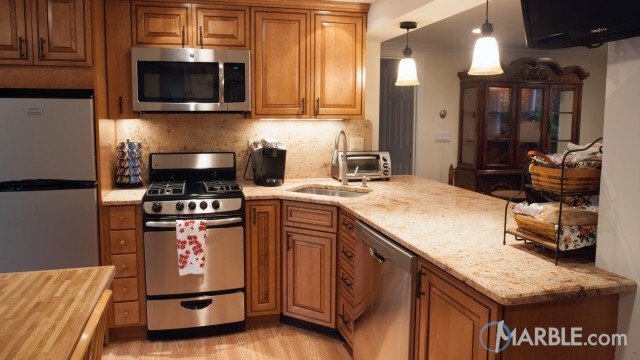 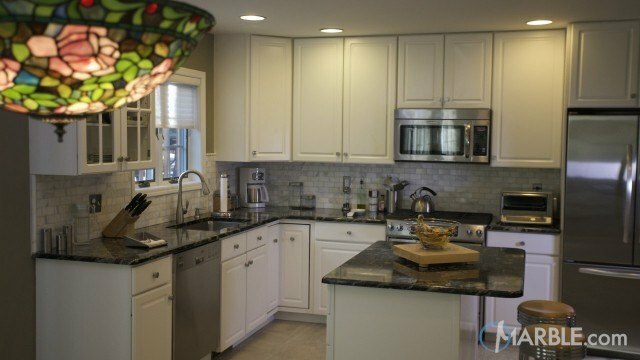 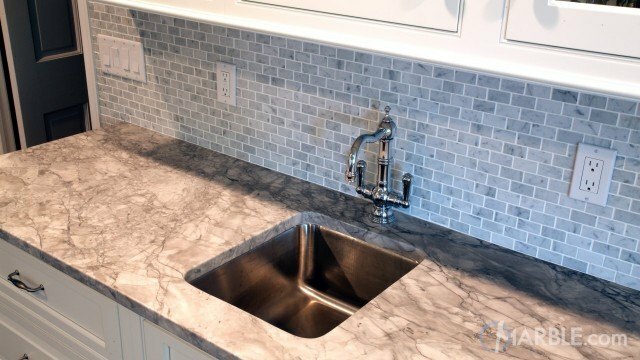 White cabinets, stainless steel appliances and a mosaic backsplash complete the clean look.